Please enter the information below to get started. "Energy deregulation will be the largest transfer of wealth we have ever seen." 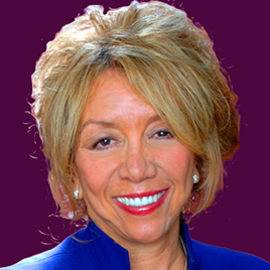 My name is Dame Doria (DC) Cordova, and over the last 40 years I’ve helped to build the Excellerated Business School® for Entrepreneurs, now expanded to what we call the Global Excellerated Business School™ for Entrepreneurs (BSE) – part of a little-known educational curriculum that includes the Money & You® program that helped launch the career of Robert Kiyosaki (Rich Dad / Poor Dad book series) – and have had graduates like Jack Canfield (Chicken Soup for the Soul), Ben Cohen (Ben & Jerry’s Ice Cream), Paul Mitchell (Hair Products), and countless other multi-millionaires and billionaires. Over this time, our organizations have helped more than 118,000 savvy business owners, entrepreneurs and professionals from countless industries – and from over 85 countries – to identify lucrative opportunities and “get in” on the ground floor. But, I’m here today to tell you about an even bigger opportunity – an entire era of change that will unfold over the next five to thirty years and shape the very foundation of humanity. On this page, I’d like to detail for you the “perfect storm” of global events that will ultimately open the most lucrative window of opportunity our world has ever seen. And I’ll show you exactly how you can put yourself in the box seat to capitalize through this change. When this storm hits, we’ll see more opportunities to create billion-dollar companies than ever before. And the innovations we make will dictate the trajectory of the human race for decades to come. It’s going to become possible for you - as a business leader - to tackle large-scale social issues that currently seem “unsolvable”. And profit handsomely from your efforts. 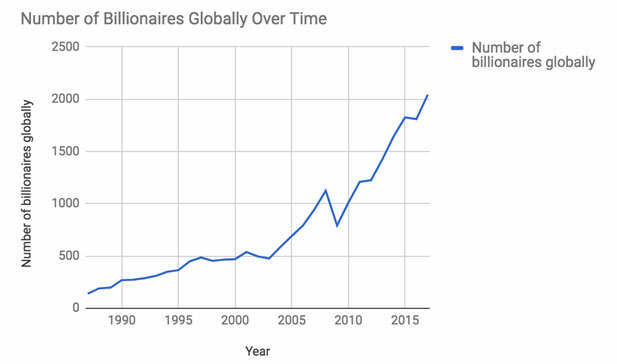 Did you know we’ve more than doubled the number of billionaires globally (from 946 to 2,043) since 2007? What’s more, 617 new billionaires have joined the list since the end of 2013. In other words, more than 30% of the world’s billionaires were created in that last four years alone … 11% were created in the last 12-months! But the really exciting thing is why this rapid acceleration is taking place. Look at the success story behind almost any recent billionaire entrepreneur and I think you’ll notice an overwhelming trend. Dr. Willson Lin - attended our signature program in 1998 and found it to be the best entrepreneurial program he has ever attended. He chose to take the work into the Chinese market through the AsiaPacific region and put the Excellerated Business School® for Entrepreneurs and the Money & You® program on the global map. He is a multi-millionaire whose fortune expands from owning Doers Group - one of Asia’s largest entrepreneurial training companies which is in the process of being taken public in the United States - to owing 35 companies. 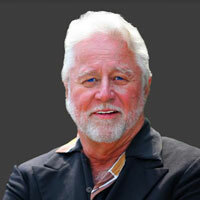 He is an investor in 130 companies; he is an avid real estate investor, and a best-selling author of many publications. 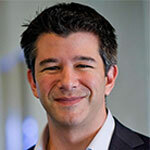 Travis Kalanick applied the ideas of the sharing economy to cars to create an alternative to taxis … He used mobile technology to make it a reality with Uber … he’s now worth $6.3 billion. 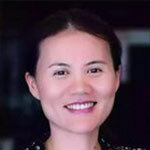 Peng Lei and her cofounders including Jack Ma, saw a need for international merchants to buy direct from Chinese exporters. They created the online marketplace, Alibaba, in 1999. She’s now worth $1.4 billion. 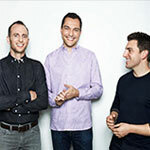 Brian Chesky, Joe Gebbia, and Nathan Blecharczyk took society’s need for affordable, experiential accommodations … And used online technology to create AirBnB … they are now worth $3.3 billion each. Frank Wang predicted the desire amongst photographers to get breathtaking aerial shots. He founded DJI – the world’s leading drone producer - from his dorm room in 2006. He now employs 1500 people in R&D alone ... owns 36% of the global drone market and is worth a cool $3.6 billion. All these mega-entrepreneurs have taken a widespread human need … and then leveraged technology to solve the problem on a mass scale. The reason we’re seeing a spike in the ultra-rich - whether they’re entrepreneurs or investors - is because our technological ability is finally catching up to humanity’s needs. More problems are becoming solvable and the speed at which they can be solved is skyrocketing. But what we’ve seen so far is just the tip of the iceberg. Over the next 5 to 30 years we’re going to see this pattern unfold at hyper-speed, solve even more significant problems, and create a brand new population of ultra-rich entrepreneurs who use new technologies and collaboration to reach phenomenal success. We are standing at the foot of a hyper-accelerated wave of technological advancement. It’s already begun … and over the next thirty years we’re going to see a radical and dramatic transformation of humanity. According to Ray Kurzweil (trusted futurist and advisor to national governments and multinational companies around the globe), in just 5 years, the power and sophistication of the business technology you rely on daily will have multiplied 32 times. In 10 years it will be 1024 times more powerful … and in just 30 years, technology will have advanced to over ONE BILLION times our current level. 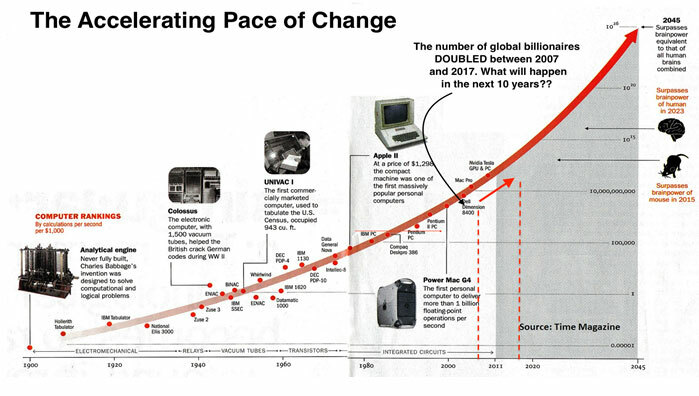 Computer technology is now progressing more each HOUR than it did in the entire 90 years between 1900 and 1990! At the rate of growth we’re experiencing, Kurzweil predicts that a single computer will be more intelligent than the human brain by 2023 … and more intelligent than the entire human species combined by 2045. Right now, scientist are working on "robotic red blood cells". If a human was to replace just 10% of their organic red blood cells with these, they’d be able to sit underwater for 4 hours … or run at olympic 100m sprint pace for 15 minutes … without taking a breath! Within the 2020’s, it’s expected we’ll be able to use robotic cells to transport us into virtual reality scenes that look, taste, smell and feel 100% real. The “nanobots” will block our real senses and replace them with those of the VR experience. Want to climb Mt. Everest? Soon you can, from the comfort of your own lounge chair! 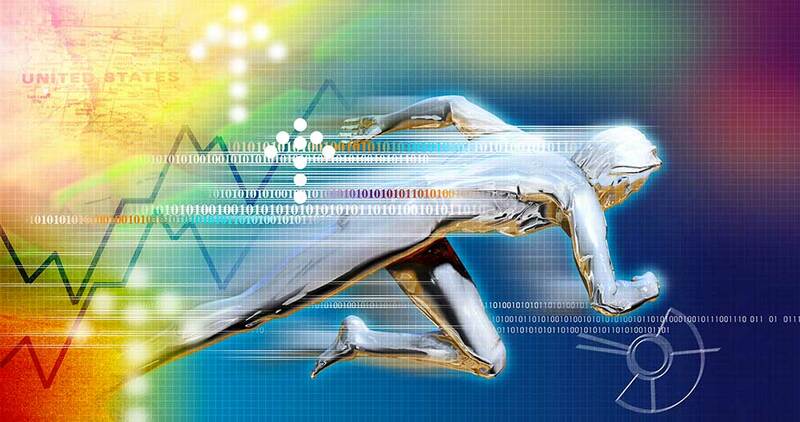 This acceleration of change is reaching “hyper-speed” right now. It’s your decision - as a business owner - whether you’ll adapt, harness this technology and prosper wildly … or ignore it, and slip into oblivion. I’ll show you how to adapt in a second. First, there’s a second piece to this “Perfect Storm” you need to grasp. 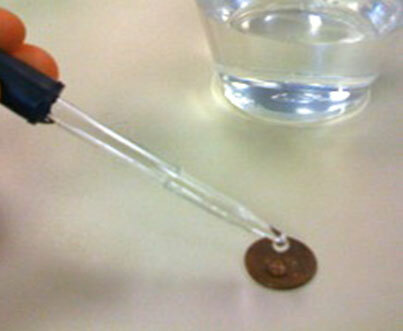 Imagine you have a water dropper and every minute, the number of water droplets it releases doubles. The water dropper is placed in the centre of the stadium and releases its first single drop at 12 o’clock noon … at 12:01 pm it releases 2 drops … at 12:02 pm 4 drops … and so on. Do you know how long you’ve got to escape before drowning? 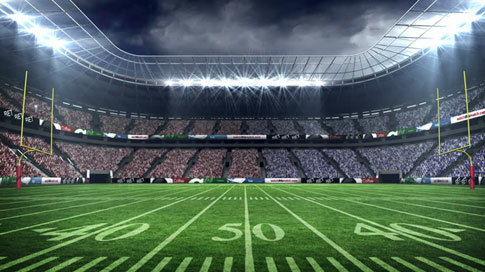 By 12:50 pm the stadium would be completely full. And the really amazing thing? At 12:45 pm … with just 5 minutes to go ... it would still be 97% EMPTY, meaning the vast majority of the impact happens in a very short timeframe. This is the same growth pattern that technology is following … it’s the same pattern renewables are following … and it’s the same pattern that your personal success follows. While it might seem things are progressing slowly now, they will accelerate very rapidly. While renewable energy might not seem exciting to some, it could be the catalyst for the most significant transfer of wealth in our life time. The earth’s surface is hit with enough solar energy every 88 minutes to power the whole of humanity for an entire year. At the same time our ability to harness the sun’s power - like our computing ability - is growing exponentially … and so is our ability to store this power. Solar panel cells are becoming so sophisticated that we can now harness a watt of power for just $0.74 cents … something that used to cost $76.67 in 1977 … and it’s dropping every year. Battery technology (driven largely by Tesla) will mean that we’ll be able to store solar power on our rooftops by 2030 and power our homes with renewable energy around the clock. We’re about to reach a tipping point that will create a huge wave of opportunity for “clued in” entrepreneurs. 1) Hundreds of billions of dollars will change hands in the Renewables Industry itself - for example, the small-scale battery storage industry alone is expected to grow from $0 to $250 billion in the next 25 years! 2) The move away from coal, gas and oil will create opportunities throughout the entire economic food chain. This disruption will give birth to new industries, and sub-industries we can’t even comprehend right now. 3) The need for sustainability will extend far beyond renewable energy … as technology advances, and environmental consciousness expands, we’re going to see a transformation of countless industries we currently take for granted: packaging, farming, food, clothing and more. Again, these sectors will change in ways we can’t fathom right now - driven largely by consumer demand & technology - and will give birth to virtually endless opportunities for savvy entrepreneurs. "If you see a problem, it’s yours to solve"
Is success and “true wealth” all about money? 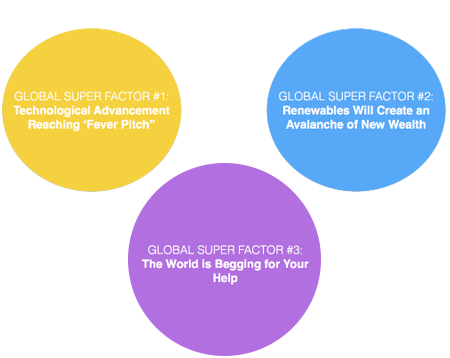 In fact, the third Global-Super-Factor is what will allow you to go beyond money ... and dare I say it … become truly fulfilled. Because, despite the rapid acceleration of technology, the world still suffers from deep societal problems that desperately need solving. There’s a smorgasbord of ways you can make an impact on the world WHILE making a profit. And nothing can be more satisfying. Unless something drastic changes, we’re going to see 100 million people thrust into poverty as agriculture suffers ... 100,000’s will be killed in extreme weather events (like bush fires and hurricanes) ... and the homes of over 760 million people could be swallowed by rising sea levels. 805 million are starving … 750 million don’t have enough clean drinking water … and treatable diseases like pneumonia and diarrhea kill 2 million poverty-stricken children every year. Its estimated they’ll become 150% more acidic this century. 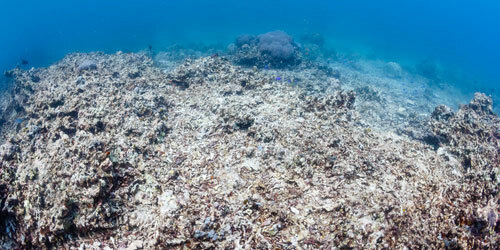 This will destroy coral reefs, plankton, oysters and other species that support the entire marine biosphere. When these species are at risk, the entire marine food chain is at risk! More than a billion people who rely on fish as their primary source of protein could go hungry ... and millions of jobs could be lost as ocean-based industries dissolve. And there are more “micro” issues. Lots more in fact … like teenage suicide, the heart disease epidemic, the aging population, and the global refugee crisis - to name a few. I’m sure I don’t need to list them all, because if you are reading this you’re an educated person that probably has a good understanding of what’s happening in the world. If you think the governments will save the day, unfortunately you’re wrong. The U.S. Government can’t even work cohesively to overhaul the national healthcare system. How in the world are the multiple governments going to work together to solve large-scale global problems like Climate Change and poverty? There’s too much in-fighting, too much political game-playing and too much red tape to make any real progress. And as technological change accelerates, and global issues worsen, these inadequacies are only going to become more pronounced. How Can One Person Make A Difference? CrowdOptic, a new company that’s harnessing video footage taken by crowds at disaster sites (like bombings, fires and hostage situations), to give fire services, paramedics and police 360 degree “eyes on the ground” views and make better decisions, faster. Worldreader, a mobile app that provides over 23,000 free e-book titles, in 43 languages to 69 countries around the world in an aim to improve the world’s literacy rate. There are also numerous other businesses who have worked “contribution” and “making a difference” into their business models. Like the outdoor clothing giant Patagonia, which injects a large proportion of profits into environmental conservation each year. Will You Be In Position When The Opportunity Explodes? Now you might be thinking this is all some far-flung prediction, more like science fiction that reality. But the truth is, this “perfect window of opportunity” is already opening. Remember: we’ve already seen the initial ripple of technology billionaires created through the “dot com boom”; social enterprises like CrowdOptics are already tackling current global issues; and renegades like Elon Musk (as well as hundreds of lesser known Chinese moguls) are already capitalizing on the renewables explosion. This is just the very beginning. And from here on in, things are going to move fast. The truly elite “money masters” of the world - the likes of Richard Branson (Virgin), Elon Musk (Tesla), Jack Ma (Alibaba), are already poised and waiting to capitalize. We’re also going to see a whole population of new entrepreneurs bursting onto the scene in this New Wave of opportunity. The question is: Will you be ready? You see, it’s not going to be all good news for business owners. The speed of change is going to be too great for many unsuspecting companies. Many businesses now considered “titans” will be washed into extinction when they fail to keep up with the wave. In fact, a recent study from Washington University found that 40% of Fortune 500 companies will no longer exist in ten years time. And these are companies with huge R&D budgets, entire armies of tech-savvy employees, and virtually endless capital. For smaller companies - like yours and mine - failure to adapt could be even more devastating. You can either prepare yourself to join The New Wave - or - you can stick with the status quo and risk annihilation. So what’s the difference that makes the difference for the elite money masters of the world? How can they consistently make huge global impact? Why will they adapt to the change with elegance and make billions in The New Wave – while other entrepreneurs flounder and fail? Well, through my nearly 40 years observing the evolution of over 118,000 world-class entrepreneurs through our schools, I’ve narrowed this difference down to just three things. I’m not just talking about joining your local “mastermind” or having a beer with your business-owner buddies. If you want to play a bigger game, you need to rub shoulders with a network of game-changers. People with influence and capital. People who change the world on a daily basis. The Musks, the Bransons and the Gates’ of the world don’t operate in isolation. They live in elevated social spheres made up of other ultra-successful innovators, entrepreneurs and investors. And they leverage these networks for all that their worth. With a single phone call, or the click of a mouse, they can secure hundreds of millions in funding… collaborate with an entire army of billionaires on unthinkable ventures or rally together to tackle social problems that seem unsolvable. These are the sort of connections you need to flourish in through the storm. And that’s where I can help. In a minute I’m going to reveal how YOU can get an invitation into this exclusive society of ultra successful (ultra-wealthy) entrepreneurs. And how you can learn, network and capitalize with these tycoons through the most exciting era of change our world will ever see. Real Success, Real Wealth, Real Prosperity in The New Wave … Will Be 90% Reliant On Proven “Generalized Wealth Principles”. 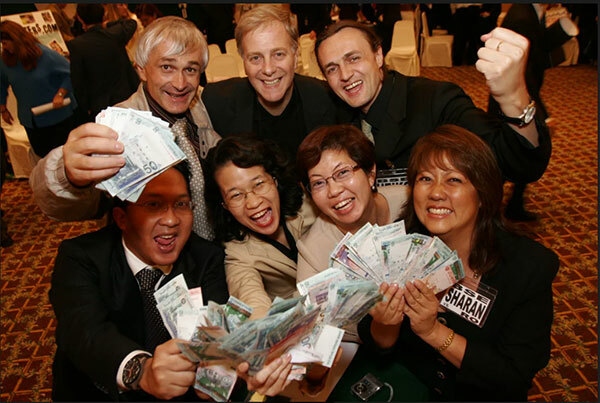 The elite money masters of the world understand the underlying, universal laws of wealth creation on a visceral level. These principles never change, never waver and never fail to multiply your wealth and happiness, year after year. They’re as reliable and repeatable as the laws of Gravity, Relativity and Cause and Effect. And they will transform the way you view the world, do business and make money for as long as you live. There’s really only one way. In the ‘70’s, the co-creators of this work that I eventually inherited (I was a great student! ), pioneered these principles along with sound business practices. That team pioneered the transformational, experiential, entrepreneurial education industry that exists globally today (and is taught by many of our graduates who are now household names)! Ever since, we have been testing, tweaking and refining these principles and tools (along with the learning technology behind teaching them). In fact, these principles have been taught through the now named Global Excellerated Business School™ for Entrepreneurs (BSE) for almost 40 years and have created more high-profile, high net worth entrepreneurs than any other entrepreneurial educational program on the planet. Now, I’d like to invite you to learn these same principles, through the same “Excellerated Learning” technology so you can profit wildly through this perfect storm of market super-factors. Which brings me to the final step. I’m sure you probably already consider yourself a passionate learner … It’s how you got to where you are now, right? So it will come as no surprise that the people who’ll thrive in The New Wave will take passionate learning to the next level. They’ll read, they’ll attend events, they’ll research, they’ll learn, they’ll discover, they’ll push themselves to develop personally ... to EVOLVE their thinking exponentially. They’ll stay up to speed with relevant technology. And they’ll quickly outgrow the “what’s in it for me” paradigm, and chase what’s best for the “greater good” ... they’ll never stop learning and growing. You can now kickstart your learning into a new stratosphere, and gain lifetimes of business wisdom in just 8 days of immersive, experiential learning. All in just 8 Days! The Same Experiential Educational Program that Launched the Career of Robert Kiyosaki (Rich Dad / Poor Dad) – and have had Graduates like Jack Canfield (Chicken Soup for the Soul), Ben Cohen (Ben & Jerry’s Ice Cream), Paul Mitchell (Hair Products), and Countless other Multi-millionaires and Billionaires ... will Now Prepare You to Profit in The New Wave! The Global Excellerated Business School™ for Entrepreneurs (BSE) is an intensive, fully residential 8-day program where you learn the WINNING FORMULAS and MONEY-MAKING SECRETS of the World’s Most Successful Entrepreneurs. Between 1979 and 1983, Ben Cohen (Ben & Jerry’s Ice Cream), Paul Mitchell (Hair Products), Robert Kiyosaki, Jack Canfield, all attended our signature program before launching their empires. Dominique Lyone, CEO and owner of Complete Office Supplies, attended BSE in 1989. He learned the principles and tools well and applied them to his organization. He eventually became an Instructor for the various Excellerated programs. His life and business grew exponentially for the better and now COS the largest independently owned office supplies business in Australia which brings in revenues of US$165 million a year. Since then, more than 118,000 other entrepreneurs, professionals and world leaders have been through our signature program – many of whom became multi-millionaires – or like Morry Fraid of the Spotlight Stores fame in Australia, who became a billionaire. Famous athletes like the late Jim Stynes of Melbourne, Australia (another graduate of Global Excellerated Business School™ for Entrepreneurs) created The Reach Foundation that has supported as many as 200,000 teens at risk annually. Susan Barton of The Lighthouse Foundation not only attended all the programs, including the Global Excellerated Business School™ for Entrepreneurs, she was supported by our organization and the generous network of graduates to launch this remarkable organization that has helped countless of teens at risk. I’m not talking about the rehashing “news” you can find anywhere on the internet. During the 8 days, we’ll have several “breakout” sessions where you’ll learn exactly what’s happening “behind closed doors” in the tech, renewables and social enterprise scenes. And you’ll learn it directly from business pioneers who are already making huge waves (and huge profits) in these areas. Having said that … there’s something you’ll learn that’s even more fundamental to your success. During this experience you’ll be welcomed into a network of people who usually remain completely out of reach of “mere mortals” like you and me. Every single one of your instructors will be cream-of-the-crop of their fields of endeavor - some, entrepreneurs who have achieved the highest peaks of success in their respective fields. Of course, I’ll be there … you already know a bit about myself … I own Excellerated Business Schools® for Entrepreneurs® and Money & You®, a global organization that has over 145,000 graduates from over 85 countries, especially from Asia Pacific and the Americas. The programs are taught in English, Chinese and Japanese – and soon expanding to Bahasa, Spanish, Tamil, Hindi and other languages. Many of today’s wealth and business leaders have attended the Money & You program and transformed the way they teach and run their organizations. Through these graduates, including my business partnership of 9 years in the 80’s and ’90’s with Robert T. Kiyosaki of Rich Dad/Poor Dad fame, my work has touched the lives of millions all over the world. The essence of my work is to not only focus on the bottom line and profits but also to offer products and services that add value to humanity. 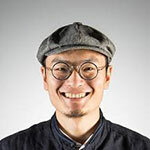 A genius, architect, engineer, an avid activist of the greening of world is a leading solar architect who built the only Solar Valley and Solar City in the world in Dezhou, China. 7 million people use solar energy to heat their water; all street lights are powered by nature. A “billionaire with heart” responsible for the passing of the first Green Law in China. His company has 623 national patents - dozens internationally. He has developed 100’s of solar projects in and out of China. He has won the “Alternative Nobel Prize” the Right Livelihood Award. Has founded the International Micro-emission University (IMU) - a walking national treasure. Managing Director of The Timber Barron, a global timber exporting company, based in Auckland, New Zealand. Most recently he has purchased a $25 million dollar business where he is again applying the principles he learned from attending the Money & You and BSE programs. An inspiring international trainer and speaker, he has spoken at world-class events internationally, is also a Money & You and Creating Wealth Programs Instructor — will be co-leading this event — and will bring his unique and down-to-earth approach to support you to produce similar results! Dr. Jeff Alexander A CEO, a social entrepreneur, he built a children’s dentistry practice that grew from 11 employees in 1 office to 7 offices with over 60 employees, with revenues of US$5. million in 3 years. 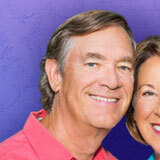 His company ranked in the top 500 grossing health care clinics in the country. Today, he has served over 500,000 underprivileged children with dental care. His commitment was to create a business model that demonstrated financial success by utilizing compassionate and modern business principles that would benefit the company, the community and the world - this he learned at BSE. He co-created the Excellerated Instructors’ Training program for the Money & You program. Today he is also the founder and trainer of IGNITE PROGRAMS which offers transformational education for business people, entrepreneurs and professionals. Gabriel Nossovitch A global entrepreneur, he is currently the Chairman of the Board and the Director of Training for both Worldworks México, ChileWorks; co-founder of several personal transformation companies including Argentina Works SA, WorldWorks Inc. in the United States. These organizations offer personal growth and transformational seminars and sponsor large scale community service projects aimed at raising awareness in underprivileged populations in the Americas. He has a graduate base of over half-a-million graduates throughout Latin America. Dr. Serge Gravelle Leader in over 25 companies, including OMZIG, creators of some of the original codes of Microsoft Windows; MyMall Network, first shopping network on the Internet with over 2,000 stores and millions of monthly visitors; RevShare, for many years the world’s largest direct-response television advertising agency. Author of 18 books, former Olympic athlete, 4-time National champion. Dr. Gravelle has come out of retirement 4 times, most recently to create the Foundation for Equestrian Athletes, a leading 501(c)(3) Public Charity transforming the way non-profit entities become financially self-sufficient by providing them with systems and strategies normally reserved for large corporations and public companies. Jorge Yant President / CEO of PLEXIS Healthcare Systems. 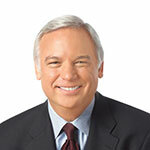 He is highly acclaimed as a leading industry innovator and creative visionary. 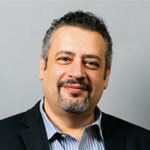 He has expertise in developing key partnerships, and his experience directing the design, development, and deployment of information technology systems for the healthcare industry have resulted in PLEXIS’ continued growth in the U.S. and abroad. He is the founder of several successful technology businesses and a former CIO of one of the largest law firms in the country. 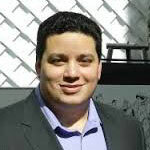 He is a Consultant with Price Waterhouse; and Director of Administration at U.C. Berkeley Law School. He is also the founder of www.Quepasa.com. Nearly a decade ago he chose to support the movement of mindfulness by providing retreats to the community. His integration of sound business principles and mindfulness practices makes Jorge a perfect instructor for the business school. Randolph Craft Is a genius, an artist, an expert management consultant in the Project Planning Chart technology that took man to the moon ahead of time. He is also an expert in understanding, translating and sharing the generalized principles that were taught to us directly by R. Buckminster Fuller. Both key technologies taught at BSE’s since the beginning - originally directly from the masters themselves. Randolph has spent decades in time, a fortune in money and immeasurable devotion to applying his genius to developing this work. He is an entertaining, colorful and a master at sharing these technologies. 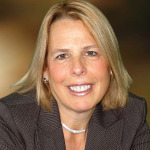 Kerry Zurier Global female leading instructor of the Money & You program; leading instructor of the world class Excellerated Instructors’ Training Program; Master Certified Coach (ICF); Partner and Senior Program Leader at Accomplishment Coaching. As a fundraiser, she has raised tens of millions of dollars through foundations and non-profits that she has either established or consulted with. She has worked closely with the likes of Joan Kroc of the McDonald’s fame. Her endeavors has generated for one organization alone 22,000 volunteer service members who have donated well over 500,000 volunteer hours, and this service has had an impact on more than 1.2 million people. Gordon Bizar The CEO and Board Chairman of National Diversified Funding Corporation, a Los Angeles-based global private equity company. He is sought-after by entrepreneurs, business executives and government leaders worldwide for his ability to foresee, strategize, structure and organize innovative solutions to seemingly impossible business and societal challenges. 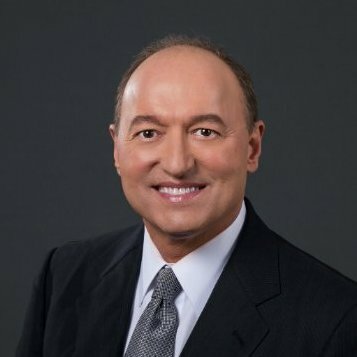 He is the preeminent global authority on business structure and monetization strategy utilizing disruptive technology and business models to redefine business success in the 21st Century. 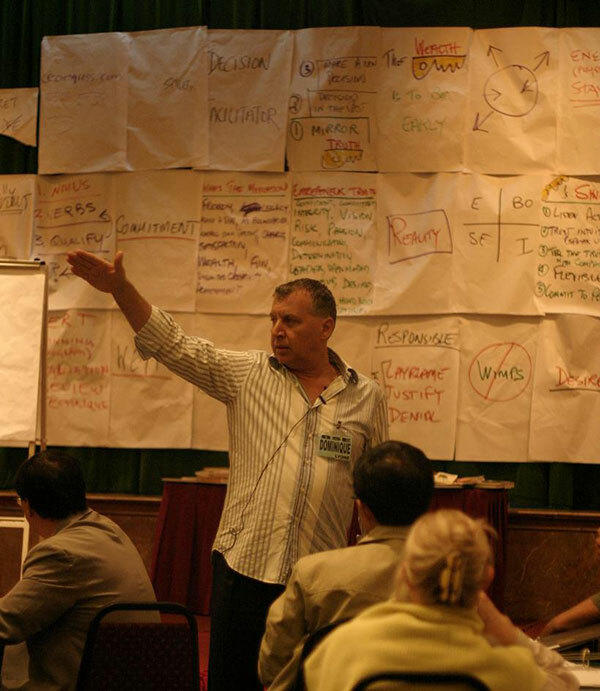 Gordon works each year with 10’s of thousands of his entrepreneur disciples to remake whole industries using financial and electronic leverage… creating wins for every participant from the business owners to their customers, vendors, investors and employees… creating and sustaining massive business growth for all including the communities that harbor them. Ryll Burgin-Doyle Her unique gift, proven over some 26 years of growing her own or other’s businesses in the US, Australia, New Zealand and around the world, is having business owners, leaders and entrepreneurs be able to see into the future they wish to create AND fulfil it in timeframes far shorter - and methodologies far removed - from their traditional thinking and results. 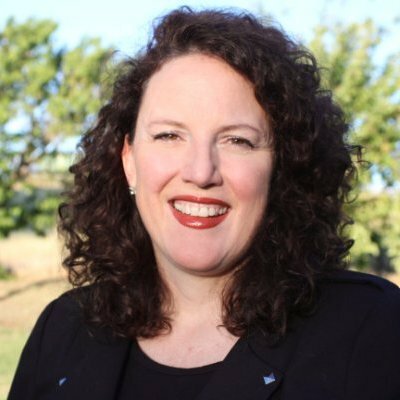 She is an invested mentor holding interests and advisory roles in multiple successful enterprises ranging from sustainably farmed milk; to entrepreneurial education including bringing Money & You to Australia, New Zealand, the South Pacific and beyond; to tech ventures that make a difference and more. Paul Dunn Chairman of B1G1 - Business for Good - which facilitates businesses giving every single day, as part of doing business, to life changing projects all over the world making a difference. B1G1 has created over 100 million giving impacts around the world, that is 100 million ‘giving moments’ - direct donations - that have shifted the quality of life for millions of people all over the globe. A four-time TEDx Speaker, award-winning entrepreneur with an absolute mastery in business growth and service strategies. He’s a Senior Fellow of one of the world’s leading business think-tanks and a Fellow of Singapore’s Social Innovation Forum. 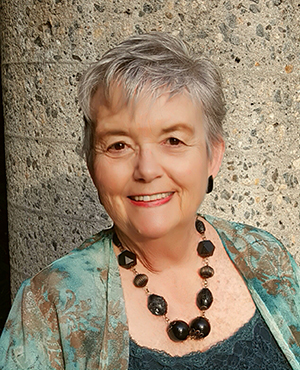 Dr. Cherie Clark Co-founder of Social Synergetics and recently retired as the Director of Shock Incarceration and the Willard Drug Treatment Campus (WDTC). The co-creator of a video production “Shock Incarceration.” Dr. Clark is an expert in substance abuse treatment Her goal is to change lives of prison inmates by teaching them about choice, responsibility & self-discipline, building life skills to increase the odds of success “on the outside.” She is the principal author of “DOING LIFE!® A Life Skills Program for Recovery from Addictions” & “SMART CHOICES: A Guide for Making Choices That Work.” Her work and system can be modeled to other transformational programs to have a positive impact on humanity. 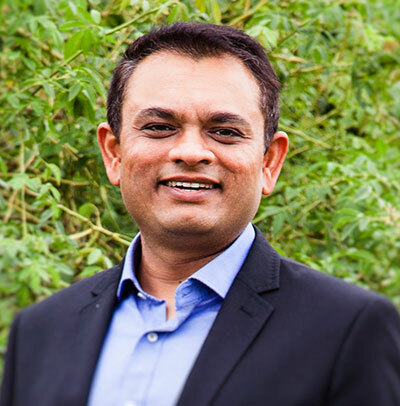 Dr. Jay Pandya CEO & Founder of MVP1 Ventures, Jay is a thought leader and sound strategist with deep expertise in emerging thinking on platform business models. He helps existing enterprises and startup Founders in creating unforseen customer experiences connecting positive impact with profitability. He has 18 years of experience in bringing digital product ideas to life including currently overseeing a tech portfolio of $150M for a major bank. He received a Masters and an MBA in Information Systems, after graduating in Medicine. 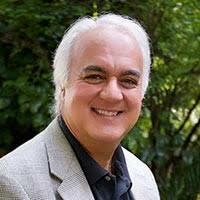 He is also a certified Program Manager and an expert in complex Project Management. Jay brings his insights and understandings of lean startup and agile methods to the context of platform and enterprise. Maria Simone Co-Founder & President of ZenMoose Capital, LLC, a Transformational Media Company and Social Impact Fund; she is a serial entrepreneur, consummate deal-maker and has been featured in Success Magazine and made appearances on ABC and Fox TV in the USA. She is the Author of “Passion To Prosperity: Instant Ways To Profit From Your Skills and Talents”. Her 7-Step Enlightened Business Building System™, has helped thousands of start-up entrepreneurs to create solid, conscious business models including acquiring capital, building powerful teams and customer attraction strategies. Maria proudly serves as a Founding Member of the Association of Transformational Leaders, and hosts the acclaimed Enlightened Entrepreneur Summit. Chad Warren CEO and Founder of ZenMoose Capital, LLC, a Transformational Media Company and Social Impact Fund. He is also an Executive Producer of the GIVE TV show on NBC. ZenMoose invests in, produces and incubates highly impactful and uplifting media related technologies, online digital content platforms, films, TV shows and documentaries. Chad has worked extensively with bringing developing businesses and investors together for maximum mutual benefit. 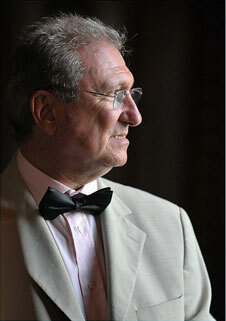 Chad also has a unique distinction as the world’s youngest teacher of Transcendental Meditation (TM) at age 14; he has studied directly with legendary Buckminster Fuller. Burke Franklin President & CEO of Business Power Tools, a Silicon Valley software company renowned for BizPlanBuilder, a software package for producing a comprehensive strategic business plan. 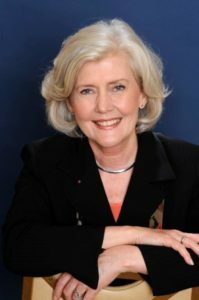 A best-Selling Author, international keynote speaker and coach to Entrepreneurs, Inventors and CEO’s, Burke is an instrument-rated pilot and a second-degree black belt in TaeKwonDo. His book, Business Black Belt teaches how to build and run a business by using the disciplines of a karate master. Dr. Letitia Wright, DC A Crowd Funding Strategist, Entertainment/TV/Film Production Consultant; a Corporate/Celebrity Branding, Media/Biz Marketing Expert — a highly-esteemed and notable business woman. As America’s Crowdfunding Strategist, she taught at the Dallas Start Up Week 2016; and many other notable venues. She has been on the list of the Top 100 Crowdfunding Experts for the last 4 years and was invited to the President Obama’s Global Entrepreneur Summit this past summer. 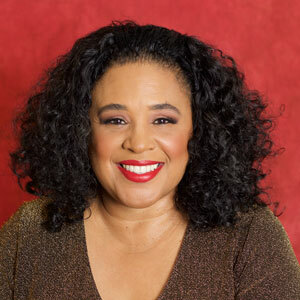 She is the Executive Producer and host of her nationally syndicated television show Wright Place Television, which is now in its 18th season with the bandwidth expanding over 6.5 millions homes each week in Southern California on Direct TV Channel 64. Wright Place is also seen nationally on DISH on Demand spanning its reach to 60 million plus homes. She launched and started the Crowdfunding Academy. She currently hosts the Get CrowdFunded Now Podcast on all major platforms where she brings Crowdfunding news and lessons and insights. 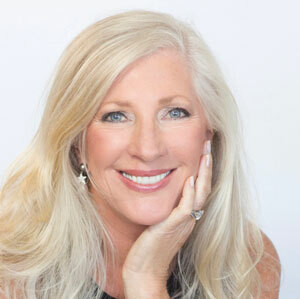 Sandra Biskind Sandra is a global thought leader, international speaker, spiritual mentor and a #1 bestselling author. She has a unique gift to identify and eradicate the unconscious programs that undermine success—instantly amplifying her client’s ability to live freely and thrive. 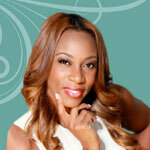 She offers a rare combination of business savvy, transformational leadership and soul enrichment. With her down-to-earth wisdom coupled with her multi-dimensional gifts, she creates profound sustainable shifts. Sandra is committed to working with leaders of industries, new technology and transformational businesses — all those who are passionate about attaining the next level of success and making a global impact. Using her unprecedented laser-like techniques, Sandra takes the brakes off your unconscious, freeing you to accelerate into the thrilling experience of a life without limits. The results of her work are legendary. Dame Doria (DC) Cordova is bringing additional leaders, entrepreneurs and extraordinary individuals who are the best in the fields of Entrepreneurship, New Technologies, Renewables and Impact to join us as Online Guests. Beyond the Business School itself, like those that speak live over the 8-days, you will have access to these leaders through the Global Excellerated Business School Network. 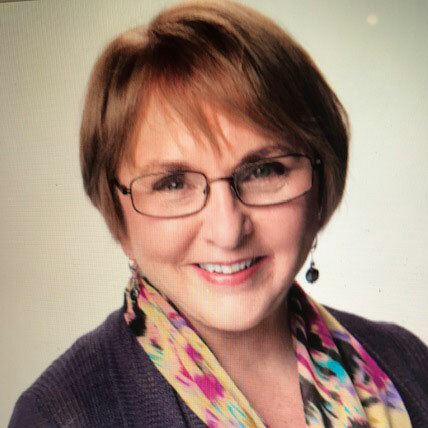 Bobbi DePorter President of Quantum Learning Network (QL) producing SuperCamp summer enrichment programs now with 75,000 graduates and programs in 19 countries; and Quantum Learning Education, with programs for teachers, administrators, students and parents. 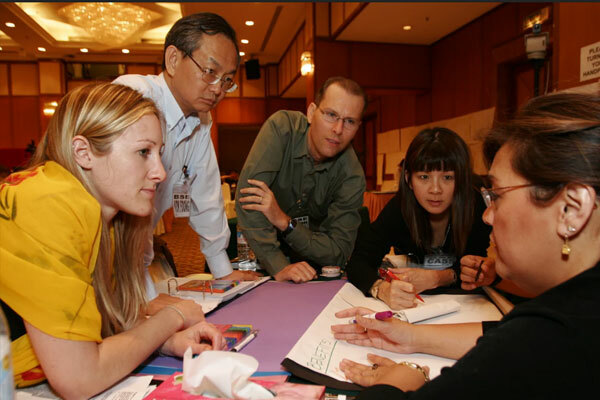 QL has trained over 100,000 teachers and through these programs and the 8 Keys of Excellence movement, has impacted more than twenty million students over the last 35+ years. 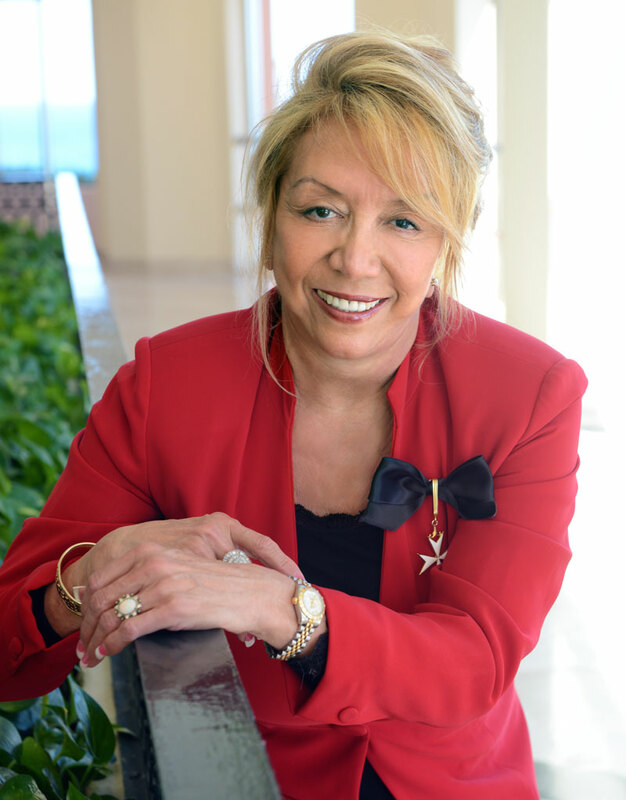 It all began when Bobbi studied with the renowned Bulgarian researcher Dr. Georgi Lozanov and implemented his methods into a humanistic business program which she cofounded called the Burklyn Business School (which eventually evolved into the Excellerated Business School for Entrepreneurs). Students experienced learning as joyful and meaningful – not as they had experienced learning previously – and they wanted a similar experience for their children. This led to SuperCamp, teaching unique learning and life skills to teenagers in a fun, dynamic way. She is the author of over a dozen books including recently released Excellence in Teaching and Learning. She was on Fast Company Magazine's Fast 50 list of leading creative thinkers. 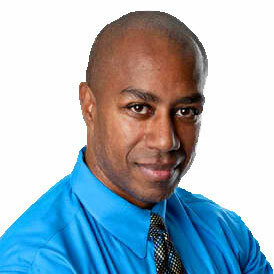 Joel Roberts President of Joel D Roberts & Associates, a communications and media consulting firm. 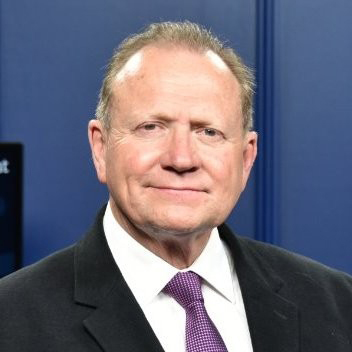 A former prime-time, KABC radio talk show host, Joel is widely considered to be one of the top communications consultants on the planet. 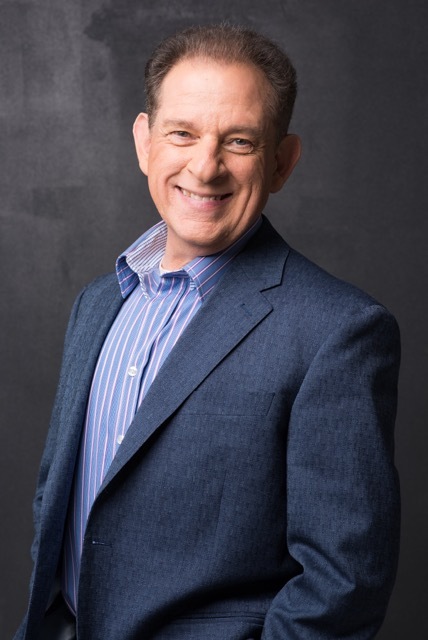 His clients range from major publishers and best-selling authors (including the authors of the mega-hits Chicken Soup for the Soul and The Secret) to Fortune 500 corporations such as Lockheed-Martin, Pfizer, Novartis, Wal-Mart and Target. Today he travels the globe training more than half a million entrepreneurs and business executives to stand out and get heard in our loud, crowded world. His style of bringing out the authentic message of any entrepreneur, leader, philanthropist or speaker, is extraordinary. Lynne Twist A global visionary, consultant, speaker, and award-winning author of The Soul of Money, has dedicated her life to global initiatives that create a sustainable future for all. She has raised hundreds of millions of dollars to create solutions for humanity's most pressing issues. Lynne works globally with individuals, executives, organizations and corporations in the arena of having a healthy relationship with money, fundraising with integrity and conscious philanthropy. 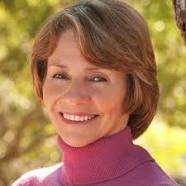 Lynne has worked in over 50 countries and spoken to millions of people spanning from some of the most resource-poor people on the planet to the billionaires of our times. Melissa Clark-Reynolds Melissa attended Business School in '92 during which she created a Business Plan and a large vision for her life. She returned to her native New Zealand and started that very business in her bedroom. In 7 years, she went on to grow that to $190M in revenues and over 200 team members. Melissa sold the business and went on to found and invest in and mentor other technology based businesses. 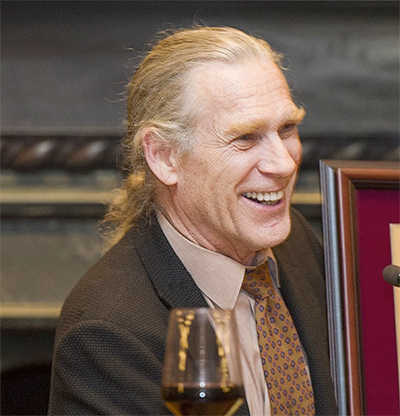 Trammell S. Crow Founder of EARTHx (formerly known as Earth Day Texas), the largest annual environmental exhibition and programming initiative in the world. EARTHx welcomed more than 100,000 attendees as it continues to grow as the hub for education, innovation and relationship-building not just within the environmental community, but beyond. Mr. Crow is focused on inspiring environmental leadership across sectors and party lines. He serves on the board of directors for ConservAmerica and is a co-founder of Texas Business for Clean Air and Texans for Clean Water. He is also a long-term supporter of the Texas Conservation Alliance, the Nature Conservancy of Texas, Texans for Lawsuit Reform, Log Cabin Republicans and the League of Conservation Voters. His philanthropy benefits various nonprofit organizations that are active in family planning, education, the environment, community initiatives and political causes. He is the president of the Crow Family Foundation, which operates and manages The Trammell and Margaret Crow Collection of Asian Art. 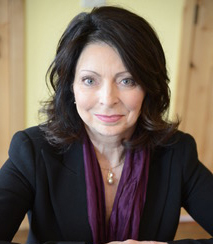 Cheryl Esposito, MSW Founder and CEO of Alexsa Consulting, is internationally recognized for coaching and developing business leaders to increase their own and their organizations’ effectiveness. Based in San Francisco, Cheryl has been expanding the reach of Alexsa Consulting since 1993. With experience gained working with leaders from global Fortune 500 companies, Cheryl has more recently been consulting with venture capitalists and tech company leaders in the Silicon Valley area. Cheryl holds a master’s degree in Industrial Social Work from the University of Southern California, which provides her with a strong foundation and expertise in human behavior, organizational systems, workplace dynamics, and team and individual development. 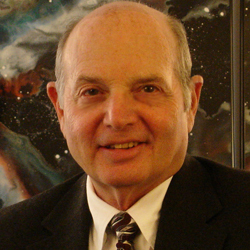 Wayne Berry Founder and CEO of Top Gun Business Academy, his background in sales and sales management started more than 45 years ago in his teenage years. 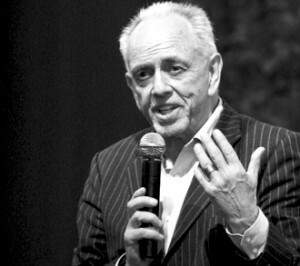 He founded his sales training company in 1978, went on to author 5 best selling books on selling, negotiating and sales management, and recorded more than 40 audio programs and hundreds of video programs. He has worked with and appeared on stage with some of the world’s most famous speakers like E. James Rohn, Zig Ziglar, Dr Norman Vincent Peale, Earl Nightingale, Dr Denis E Waitley, Tom Hopkins, Brian Tracy, Robert Kiyosaki, Mark Victor Hansen, Les Brown, Rev. Robert Schuller and many others. More than half a million people around the world have now participated in his live and on-line programs. Liu Weihua (Grace) Grace is a Chinese Money & You instructor; and has been part of the Doers organizations where she has supported the growth and success of that organization. 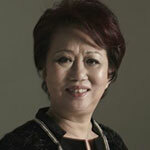 She is an expert promoter/administrator in the Chinese Training Industry. 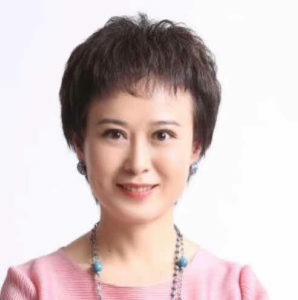 She is also the founder of the China Entrepreneurs Outdoor Hiking Alliance where so far they have had six successful challenges in the 108 kilometers of Silk Road; and one successful challenge of 108 kilometers in the Taiwan Zhong Heng Country Road. She has created a niche of combining education with outdoor sports and using a whole new business model and has created enormous results. She is also a traditional Chinese medicine teacher and the founder of the moxibustion therapy of “Hua Family Double Point Xuan Moxa" in her clinical practice. Based on the core technology of Moxa, by fully maximizing the competitive advantage, she has established the “Expedition Healthy Ecology Alliance”, and has created the most technical, collaborative platform in the Health and Wellbeing Industry in China. George Antone Author of 3 best-selling books on investing and finance, George is an award-winning Educator, Investor, Board Member and an Entrepreneur. 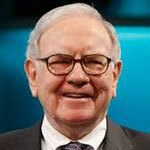 He is also the creator of the world’s largest network of private money lenders, as well as The Family Bank Game. 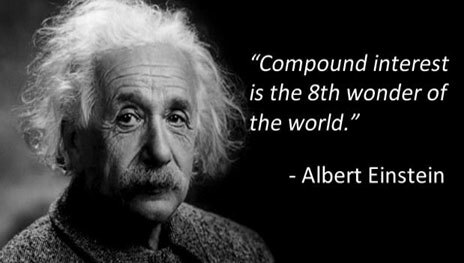 His approach is that a secret mathematical formula exists at the core of ALL investments. Fragments of this secret have been found in financial-related literature and strategies throughout the centuries. At this Business School, we will explore this in detail and George will have you “see” the financial matrix in ways that very few have. This absolute financial clarity can elevate your wealth building to a whole new level, resulting in less work, financial peace of mind, and ultimately, freedom. 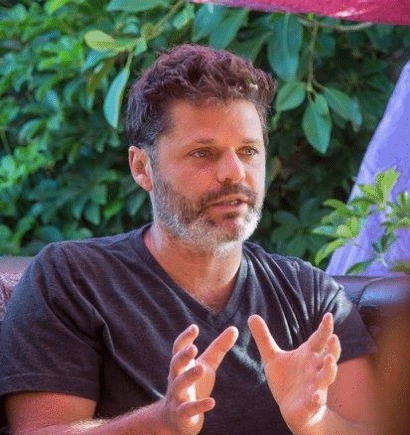 Daniel Schmachtenberger Director of Research and Development and a Co-founder at the Neurohacker Collective, where he is focused on developing processes and technologies for advancing medicine and human optimization. He is particularly focused on personalized medicine, adequate approaches to complex illness, and deepening our knowledge of how the human regulatory systems function, how they break down, and how they can be supported to function with greater resilience. 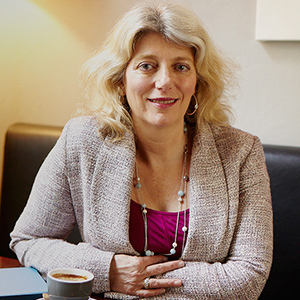 Nicola Jackson-Smith CEO and Founder of Success Strategic Partners, LLC, a global consulting agency which empowers and helps people to achieve personal and professional development success. She is a Wealth and Leadership Coach. A network marketing expert. An award-winning wealth strategist, motivational speaker and author, Nicola has coached thousands of women and men on how to produce unprecedented success, wealth and prosperity. She has developed a transformative success-building tool that assists people in achieving their goals spiritually, mentally and professionally. 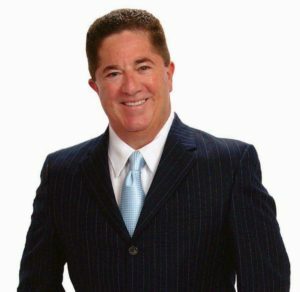 Michael R. Polin A United States and International Business and Entertainment attorney and entrepreneur with more than 30 years of International and domestic business dealings, legal experience, project deal negotiations, and entrepreneurialism. 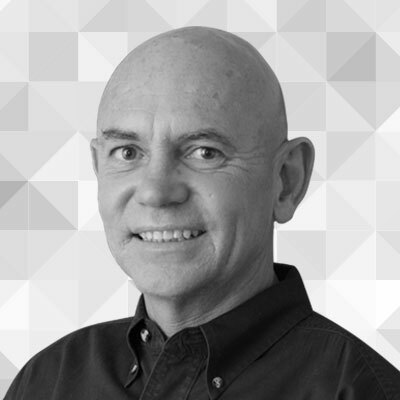 Over the course of his career Michael has represented various entities involving renewable energies, green sustainability projects, and other important brand development opportunities throughout the United States, China, and Europe. He is the author and creator of the JUST RELEASED “TEACH ME CHINA” brand and comprehensive educational product series (CDs, DVDs, workbooks, etc.) on the “How to’s” of doing business inside China from an entrepreneurial, investor, and legal point of view. He empowers his clients with innovative ideas, new business models, and an original perspective to develop and retain success in the China and International Markets. 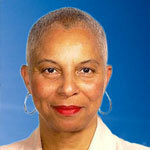 Carol Dysart Speaker, author, a “People-smart” coach, consultant, and business owner, has an M.S. in Counseling. She is the co-founder of PeopleSmartEnterprises.com with her talented NZ-based partner, Sandra Davis. Fondly known as the Money & You’s and Excellerated’s DISC Masters, they provide profiles, interpretation, coaching, DISC Certification and licenses of their PeopleSmart Method™ IP to graduates for their businesses, homes and local schools globally. They have developed DISC customized for Sales and Leadership Training, Executive Masterminds, Foundations, Coaching, and Seminar companies. Excellerated graduates learn the value of providing their teams and clients with a “DISC-literate" culture. 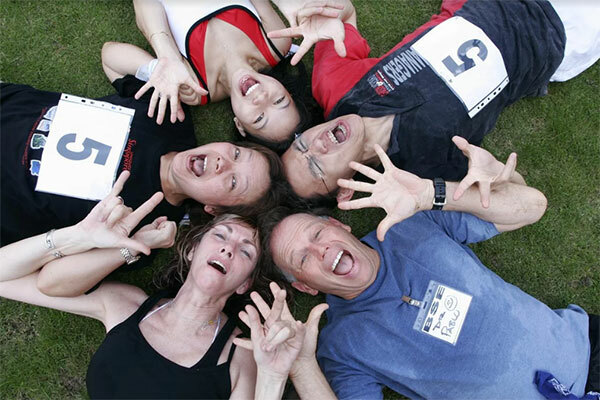 Their team building tools and support of the BSE’s participants are one of the success “secrets” of the Business School. 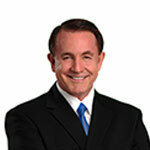 Stephen Gregg His skills in Sales and Networking Training are unmatched in the Direct Sales Industry. His diverse background along with over 30 years of experience, give him the ability to help you increase your sales faster than you thought possible. Stephen has the unique ability to look at a sales organization, see the weaknesses and give you the exact formula and techniques to solve the problems to increase sales. He has invented the formula for success in sales — the 3c = M2 Formula. He has invented the Daily Activity Tracker Book. This simple activity tracking system can help sales people increase their sales by more than 200%. His dynamic delivery and illuminating, informative approach on stage or in person will inspire you. His unique style motivates, inspires and hits straight at the points that a person needs to build their business. JV Crum III Founder and CEO of Conscious Millionaire Institute LLC, a global entrepreneur business coaching, training, and wealth-product business. 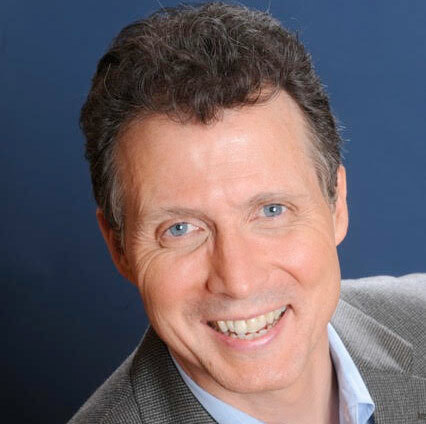 A self-made entrepreneur and millionaire since his early twenties, he is a best-selling author, keynote speaker, certified business coach, licensed attorney, serial entrepreneur, Huffington Post Columnist on conscious business. JV is also the host of the #1 Ranked “Conscious Millionaire Podcast.” He has built an audience of over 10 million listeners; and has created the Conscious World Foundation to support young entrepreneurs in becoming conscious millionaires. Domingo Silvas From humble beginnings to CEO, from US Army Veteran to serial entrepreneur, this self-made man is an unstoppable force of nature in business and self-worth. In business he built several companies from the ground up. One company began with an idea written on a cocktail napkin, where only a few years later it was sold for eight figures. Domingo’s many endeavors have reached out of this world success – developing flight systems for fighter jets and even contracts with NASA for technology supporting manned space exploration. Domingo is living his childhood dream. Aside from his dedication to his family, Domingo continues to be involved in many endeavors, but he is most passionate about helping entrepreneurs achieve their dreams. Samuel Junghenn Founder & Lead Digital Marketing Strategist at Think Big Online, one of Asia Pacific’s fast growing Online Marketing Agencies. Think Big Online are estimated in the top 1% of results producing firms in their field, tracked via their outstanding commitment to and proven record of measurable results. What sets Samuel and his team apart is the ability to simplify complex digital concepts and create systems which can be quickly deployed to generate quantifiable results - results that make a difference and generate ROI. Samuel brings significant insights into this ever changing, often challenging field for any business and entrepreneur operating in today’s world. 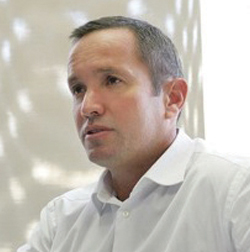 Robert Lavia Chief Executive Officer – DAKIA Global Enterprise. Previously served as Chief Investment Officer for Veremonte -an investment and holding company headquartered in London - for over four years. He was responsible for bringing together investment groups, high net worth individuals, governments, projects, and expertise from many industries in order to successfully execute key high-impact global projects. He presently is the Co-Founder of Dakia Global that provides joint investment and management support to global partners. Some Global projects: Barcelona World, a US$3 billion entertainment complex combining top vertically integrated casino operators and entertainment companies from around the world.AltAir, the world’s first commercial bio jet fuel refinery with the Dept. of Defense. Helping to create a $1B Real Estate fund for Latin America. Adam Houlahan International Keynote Speaker specializing in Social Media for business, and CEO of the highly successful boutique agency, Web Traffic That Works. 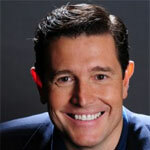 He is considered to be one of Australia’s leading experts in harnessing the power of LinkedIn for business. Over 13,600 people globally have sought his skill and insights to leverage the power of LinkedIn for their business. He is an author of two Amazon best-selling books. 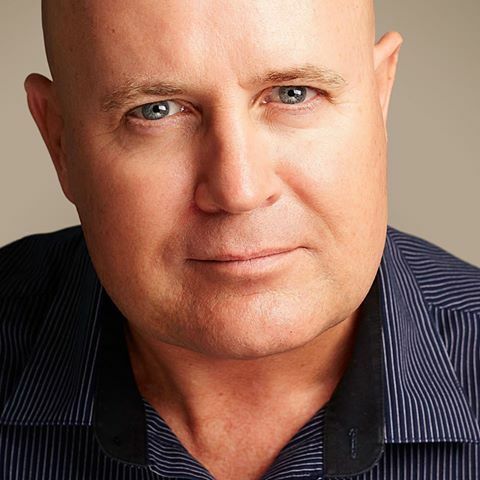 He works with many of Australia’s elite athletes assisting them to transition from paid sports stars into new careers utilizing their personal brands and specifically LinkedIn as a mentor in the Athlete Empire program. Dr. Sananda Ananda-Maynard Founder of the Enlightened Life Institute, an organization dedicated to the activation, integration, and acceleration of spiritual mastery as the foundation for enlightened leadership. She has partnered and/or trained with renowned teachers in the global transformation movement, including Bob Proctor and DC Cordova. A seasoned Life Mastery Coach, Transformational Leader, Speaker, and Consultant, she specializes in integrative mastery programs for “Change Makers”, who want to impact in the world and bring enlightened transformation. Lawrence Bloom A Thinker, Speaker, Activist, Chairman. He has sat on the Executive Committee of the InterContinental Hotel Group where he managed their $3Bn global real estate portfolio. 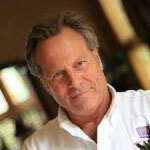 Voted by SALT magazine as among the top 25 most Conscious Global Leaders globally. Awarded by UN the Humanitarian Innovation Forum for Conscious Leadership. He is the Director of Global Impact for ZenMoose Capital, LLC. Was the first Chairman of, the World Economic Forum at Davos, Global Agenda Council on Urban Management and he is a current alumnas of all Agenda Councils. He is also the former Chairman of the UN Environmental Program, Green Economy Initiative, Green Cities, Buildings and Transport Council. He is currently Secretary General of the Be Earth Foundation. 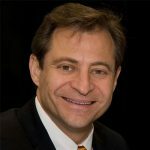 Darik Alexander As a child, Darik spent the first ten years of his life taking a specialized curriculum taught by his father, Dr. Jeff Alexander, focusing on business strategies and personal growth to apply in the real world. Darik joined an affiliate marketing business in the health and wellness industry. At age 20, he reached the top 30 in the company out of half a million people by leading a team of over 10,000 distributors worldwide to generate over $20 million in revenues in 10 months. 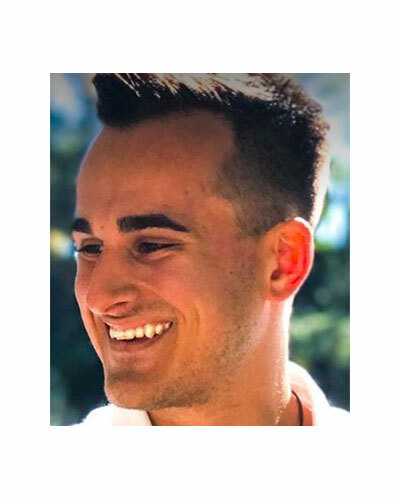 After scaling this company, Darik co-founded the Ignite organization with his father in order to empower millennials to transition out of the redundant rat race and into pursuing their passions full time with absolute abundance. Chip Comins Founder, Chairman and CEO of the American Renewable Energy Institute, (AREI, Inc), Founder of the AREDAY Summit, Expo and IMPACT FILM, Managing Director of American Spirit Productions, Managing Director of W Energy, LLC., Co-Founder of Green Girl Minute and Partner in S&C Capital, LLC. 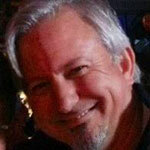 He has produced and directed both long and short form documentary films for educational and broadcast television markets, including The National Renewable Energy Laboratory, DOE Wind Powering America, PBS, Link TV, BET and Discovery Networks. 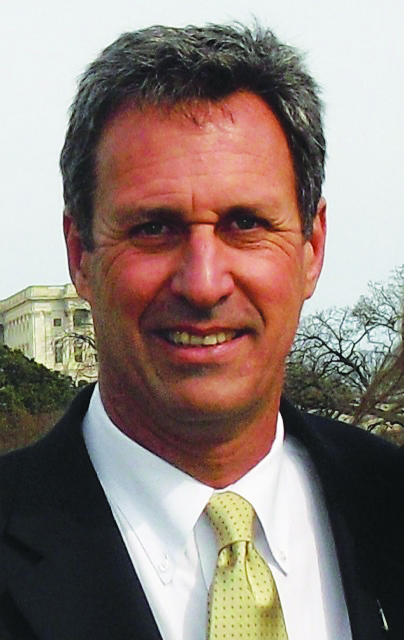 A long-time advocate of developing and implementing renewable energy resources to abate green house gases and climate change, Comins encourages a business approach to solving both the economic and environmental crisis. In 2009 he produced 13 official side events at the UNFCCC COP 15 in Copenhagen and produced the 11th Anniversary AREDAY Summit “Accelerating Solutions for The Great Transition” featuring President Jimmy Carter. He is Associate Producer on the new film Racing Extinction. Glenn Head Entrepreneur, master networker (with extraordinary results to confirm that), author, and University Dean. 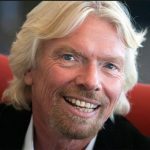 As an entrepreneur, he has had the opportunity to work with stellar partners on stimulating projects that have made – and make – a difference in people’s lives. 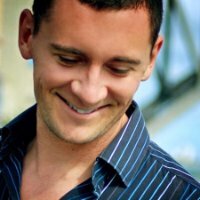 He is the author of Plan C: Everything You Need to Know About Network Marketing, a unique tool for educating prospective distributors in the highly competitive MLM industry and for strengthening existing distributors' belief in the profession. Along with his life partner, they have been innovators in cooperative living; collaboration in business; creating systems to empower human beings to becoming social entrepreneurs. Whether you have an interest in MLM or not, Glenn brings unparalleled lessons on how to leverage yourself and your enterprise. Specifically each night, you will attend dinner with up to 8 other people, some of whom will be those experts, masters, millionaires and billionaires. Imagine having people like this work on YOUR business. Do you think the input of a Billionaire taking a look “under the hood” would make a difference to your future? In my experience, the answer is a resounding “YES”. The layout of this program includes real-live experiential games that are carefully designed to breakthrough your intellectual defenses and show you the power of these irrefutable laws in ways you can see, feel, taste and smell. And you’ll apply every concept in the real world the moment it’s “taught”. Once you learn and reinforce these “wealth laws” in this way, it’s impossible to “unlearn” them. And you’ll gain insights into your own inner working that change how you view reality. You’ll literally have a lifetime of wealth-knowledge hard-coded into your psyche, and will walk away with the unconscious competence to build successful businesses, improve the world and amass huge wealth through any market. If you’ve read any of our other material – or attended Money & You – you’ll know that BSE has an impressive track record. Not only has it given rise to many household name entrepreneurs, but it’s also launched the careers of countless other game-changers. “Before I attended Money & You® and BSE, I was scraping by with only $200 dollars a week. And within two years, I had achieved more financially than I had thought possible. I became a millionaire within those two years, earning between $ 50,000 and $ 100,000 per month. And happily, here are my most recent and current business wins: I am now an owner and Managing Director of multiple business in the lumber industry in New Zealand resulting in a combined group turnover of $25 million. We are maintaining a 30% to 40% growth average per year for 7 years straight! Recently we purchased two new businesses to vertically integrate our timber trading business. And from one 1 staff member 8 years ago to 40 staff today! I say this course is a must for anyone – whether they want to be a millionaire entrepreneur or just become financially comfortable.” - Andrew Barron, Managing Director . “I returned from the Excellerated Business School for Entrepreneurs with a clear two-year plan to get me out from behind the scenes and into my own talk show. I accomplished my two-year plan in two months. “My whole life has been transformed by the journey I went through in BSE. Within 1 year, I was able to increase my company’s turnover from RM700,000/month (US$~163,000/month) to RM2 million/month (US$~466,690/month). In the last 2 years, whatever I have put my mind to - I have achieved and that is a marvelous feeling! I have learned never to allow situations or circumstances to control my life. Excellerated programs changed my life and redirected my business career. I had signed up for the program expecting it to be about business and investment tips because I wanted to make more money. My first exposure to Money & You and the BSE was in 1991. It has provided my wife, Cindy, and I the framework to grow several businesses; but more importantly, to understand the several principles which have been the core of our thinking about how we interact with each other, our family and friends, and business associates. I have had the opportunity to learn from some great people who continue to influence my life on a daily basis. Not only have several of these people been mentors to me and vice versa, I have been fortunate to have created life-long friendships. I have gone from being a Real Estate Broker prior to BSE, to creating a real estate investment firm less than a year later. That firm has now lasted over 25 years and continues to thrive, having done several thousand purchases totaling in the billions. We have been on the Inc. 5000 list four years in a row, with average annual revenue growth of 56%, and now have 75 professionals assisting me in the real estate fund business. Following in the Business School tradition, we always host this amazing experience in amazing places! 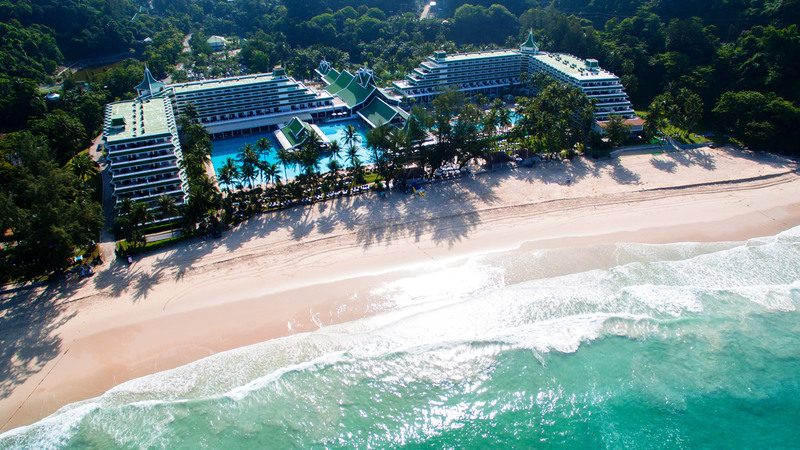 This year it is not different – we are heading to beautiful Phuket, Thailand. Located in Southern Asia, Thailand is famous and most popular for its great food, hospitality, martial arts, cultural traditions and temples as well as its peaceful people, global tourism and stunning geography and gorgeous beaches. 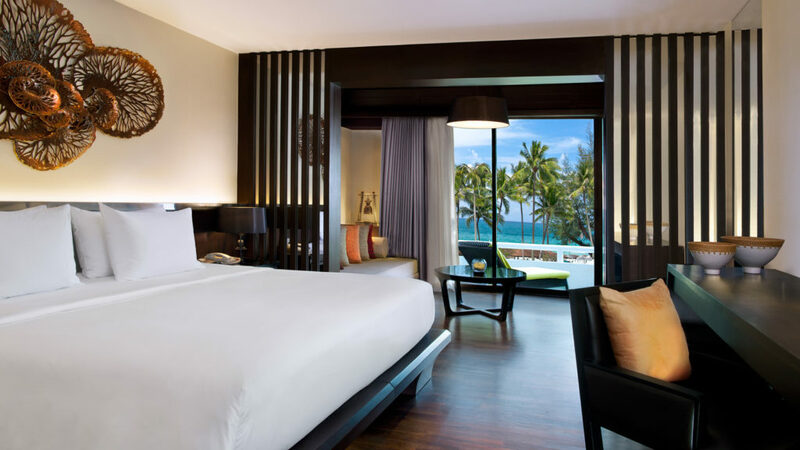 Le Méridien Phuket Beach Resort, situated oceanfront on a secluded and private cove on Phuket's south-western coast, offers limitless discoveries with facilities and services that are sure to exceed the creative needs and wants of discerning guests whether on leisure or business. Enjoy a secluded pristine beach with a full array of land and sea sport facilities, 10 restaurants and bars, 2 oversized swimming pools, Le Spa, and an onsite discovery centre for kids. 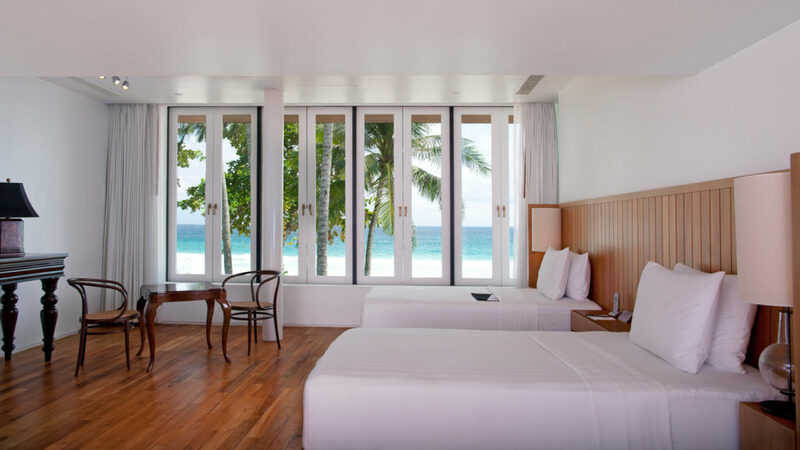 The resort is located only approximately 3 miles from the popular entertainment and shopping districts of Patong and Karon as well as nearby local tourist attractions, temples and more. Flights: Fly to Phuket International Airport (HKT). Please note: flights are your responsibility and at your cost. Flights are not included in your Business School package. Transfers: It is an approximate 1 hour and 15 minute drive to the hotel. All transfers to and from the hotel are included in your Business School package and will be arranged for you so nothing to worry about here! All we need to know is your arrival and departure details - airline, flight number and times whenever you're ready. Meals: Once accepted to participate and join us, your Business School Package includes all meals and non-alcoholic beverages. Most dietary requirements can be accommodated at this 5-star resort. We will get details for each individual as part of your Pre-Attendance information. This allows for you to acclimatize, start networking, settle in and get ready for a big program from November 16-23! Please note: no credit for the accommodation package can be provided if you arrive on a later date. The package runs from Nov 14 to 24 inclusive. Room sharing is part of the design of Business School where you get to spend time with and share the experience with another entrepreneur and leader from around the world, however, if you prefer, you are welcome to upgrade to a private room. We can provide the details when we speak. You are welcome to extend your stay. Depending on when you register into the program, we can’t guarantee that the rate we've negotiated with the resort will be available at the close of our program package, so do act quickly. We recommend that if you can stay a little longer, you do so to integrate all you will discover at Business School, rest and relax. Please be in touch with us if you're interested and we can assist you. If you have decided to have your family including children join you – the resort has an incredible Kids Club. Please be in touch and we can give you further information about the Accommodation Package we have negotiated, otherwise all of those details will be included in your Pre-Attendance Information. Don’t Believe You Can Play at This Level? 2) There’s a psychological explanation for why you’ve been stuck at your current level of success. It’s all to do with the relationship between the human memory and the “compound effect” of time. Everyday, you take action on your business: You make sales calls, you hire a new team member, you negotiate with a new supplier. And everyday, you get results: You close a deal, you lose a client, you reach your target. The problem is, the actions you take today do not usually cause the results you experience today. There’s a time lag. By the time your results come in - positive or negative - you can’t remember the exact actions or tactics that caused them. Did you reach target because of the new member of staff? Or because of your improved sales process? Or some other factor you can’t remember? Why is this such a problem? 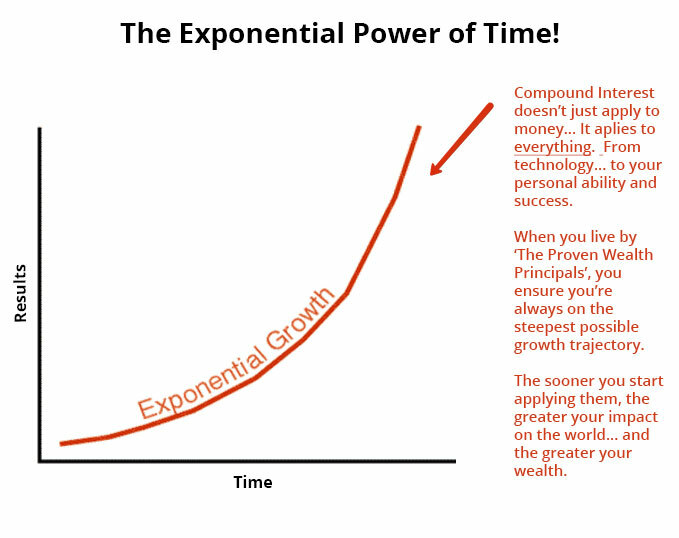 Because - like computing technology, like renewables, like the number of billionaires in the world - if you want to reach your true potential, and play at the highest level possible, your personal development needs to grow at an exponential rate. You need to build on each micro-success to create even bigger and even faster progressions tomorrow … and next month … and five years from now. If you rely on tactics and memory, you end up randomly zig zagging your way through life like a rat in a maze. You can easily make the same mistakes multiple times, kill things that are working and basically keep yourself stuck, while others race ahead. Just not at the speed you’re truly capable of. And not at the speed that will bring you success during the “Perfect Storm”. That’s why fundamental “wealth principles” are so powerful. Once you infuse them in everything you do - and more importantly into WHO you are as a business owner, entrepreneur and human being - you won’t need to rely on memory or tactics. You’ll know how to behave in every situation, so you’re always stacking success upon success. You’ll automatically grow your business and your ability exponentially. And you’ll automatically reach your full potential. How to expand what's possible for you and your enterprise, to drive profits and growth (WITHOUT working harder). This program will have you work through a critical piece of our Intellectual Property called the Business Success Model – as such, you will look at EVERY element of your current business and discover how to leverage it exponentially for future growth, investment or sale and make a massive difference to your business as it stands today. You will do that, while considering what is coming in the next 5, 10, 30 years as technology and the world changes rapidly and we must meet the market, all under the incredible tutelage of the Instructors who have been there and done that and are masters in their fields. This truly is an incredible opportunity to make your business “future proof” and significantly increase the asset value AND returns the business provides you and your family. How to find your calling in The New Wave of entrepreneurs. 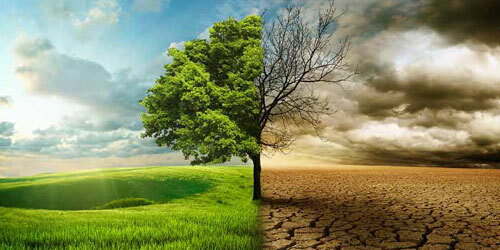 Should you chase a macro issue (like climate change)? Or a micro issue (like teenage mental health)? Should you start a new business? Or double down on your current one? You’ll leave this event with a clear path to maximum impact, maximum profit and a vision that will keep you buzzing for decades. 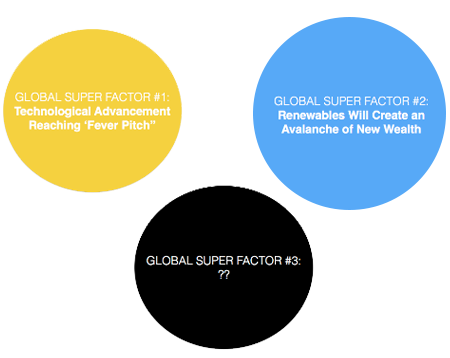 How to predict and leverage new technologies to solve the “unsolvable”. Many entrepreneurs will suffocate under the pressure of the impending technological avalanche. You’ll learn (from multi-millionaire success-stories) how to forecast future innovations with clairvoyant accuracy and use them to pull off modern miracles. How to weed out and destroy the hidden “quirks” in your psychology that are currently holding you back. Once you address these sinister mindset flaws - you’ll reach heights that make everything you’ve achieved so far look like child’s play. How to leverage the assets you already own … but have remained invisible to you for years. How to raise capital tips and little-known tools that can help any fund-raising efforts (both for-profit and non-profit organizations). Learn the secrets of some of the instructors that will be teaching at the event - and you'll have unlimited fuel to pour on your business fire. How to attract, train and retain an A-Player team for rapid (and painless) growth. How to nurture “cold” relationships into lucrative alliances. You can forget awkward “networking” and “schmoozing”, from now on you’ll approach every interaction with grace, authenticity and dignity … and win more respect and deals than you’ll know what to do with. How to buy and sell businesses so you could profit before you pay a cent. With this method you can take advantage of opportunities fast, without the growing pains of a startup ... Perfect for the hyper-speed of The New Wave. Where Did These Proven Wealth Principles Come From? The founders of the Burklyn Business School (the predecessor school to Global Excellerated Business School™ for Entrepreneurs which I attended and learned the principles so well, I ended up owning the business) first tested these principles while building their wildly successful real estate business, called Hawthorne Stone. They were fascinated by the results of implementing successful business practices and personal development tools - so this led them to conducting extensive research into what makes some people financially, mentally, emotionally and physically more successful than others. They created a feeding frenzy in the employment market, with 100’s that wanted to work in the organization - just to get a chance to learn what they knew. This showed them that there was a niche in entrepreneurial education… and the Business School for born! Nearly the 40 years since then, the principles and business tools - and how they are taught - have been refined even further. Think about it: Between the 1970’s and now - during a period of modest global transformation - these principles have been powerful enough to create thousands of multi-millionaires. Imagine the impact they’ll have when The New Wave reaches full force. It’s important you understand: This is not your standard “business school”. You won’t be required to attend 3 years of classes, you won’t learn “theories” that will make you a good employee, and you won’t be charged the $80,000 - $140,000 in tuition, books and other expenses. Instead, you’ll achieve a complete business (and personal) transformation, build a lifelong network of multi-millionaires, change-makers (you’ll be considered “one of the tribe”), and prepare yourself to make massive impact and huge wealth through The New Wave of entrepreneurship - all in just 8 days, all while having a heap of fun in paradise ... and all for a fraction of the price of a traditional business school intensive. So how much is it? Unlike other programs, events, seminars and workshops, tickets to Global Excellerated Business School™ for Entrepreneurs are not really “for sale”. It’s an application-only event with some strict (yet reasonable) eligibility requirements. Spaces are limited: Due to the high demand for this program, and the limited spots available, we need to be quite selective with whom we let in. You must already be successful. This is not a program for first-timers or newbies. We will only accept people who’ve already started their own business, created a successful career or achieved some level of success in their area of expertise. You must be open to learning about yourself on a eerily-deep level. If the idea of soul-searching leaves you cold, this is not for you. You must be willing to get real and - at times - vulnerable in group settings. This is no place for egos. You must have a genuine aim to contribute to the world in meaningful ways. This is not a “get-rich-and-lie-on-the-beach-sipping-Martinis-for-30-years” type program. 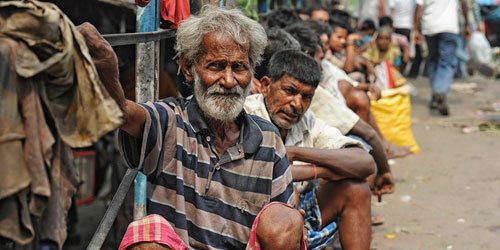 We’re not against building lives of freedom and enjoying luxuries, but if that’s your only aim - this is not for you. If that sounds like you and you want to step up and play a bigger game in The New Wave of Entrepreneurship, grow your current business, expand your network to include more multi-millionaires and Billionaires from around the world and see what the future of business looks like, please submit your application now. Just enter your basic details on the form below (nothing obtrusive - just name, email, phone), and tell us a bit about why you think you this experience will transform your business and financial life. We will review your application, and we'll be in touch to set a time for a private and confidential consultation to talk you through the ins and outs of the program and whether it's the perfect fit for you and what you are about to accomplish. From there, you can make a call about whether you want to go ahead. Lifetime Membership to review in the back of the room any Excellerated Business School® for Entrepreneurs (BSE) (in any language) for FREE TUITION (hotel / meal / supplies / activities’ costs may apply) and access to all new participants, Instructors / guest speakers, logistics staff and VIP’s who always visit our programs. Once you are accepted, you will be officially registered and will receive a preliminary acknowledgement; eventually you will receive a Pre-Attendance pack with many details about the program, venue and everything you need to know. I’m the best at what I do, I have all the money I want, and my relationships are great. So why should I attend? Are you saying that there isn’t one area of your life that you couldn’t improve? That you couldn’t grow more? Expand your work even more? Create a greater legacy? Make the world better? Solve a problem that may affect millions? Do you really have total harmony in your relationships? Do your management teams and employees carry out all your requests exactly and perform at optimum levels without conflict? Do you think you can’t discover anything new about your industry – or get interested in a new one? We have had some of the world’s most successful entrepreneurs, business leaders, Olympic athletes, best-selling authors and motivators attend our Excellerated programs just so they can take their personal and business performance to another level. Many of them, after being so impressed at their own growth, they return and bring their other staff members, family and friends to the Money & You program to introduce them to work – and they hope that they will be inspired to attend a BSE in the future. We have found that no matter how well you are doing, there is always room for expansion and improvement. What will I get out of this program? Awareness of the New Technologies and “The New Wave” of entrepreneurship, business opportunities and products and services globally. Transform your business into a well-oiled, systems-driven machine so it runs without your direct involvement every day. Get practical tools, information, and distinctions about what’s working in high-growth businesses today — then return to your real-world business and retool your business model, your team and your profitability. How will all the different instructors, successful entrepreneurs, business leaders and the masters who will be in the event be able to help me? Aside from sharing the invaluable lessons of their own lives and business experience, when not teaching in the classroom, they will be available during meals, breaks and evenings to share with you their winning formulas and to support you with your business ideas, how to take action, how to apply what you are learning, how to expand your global markets, how to create a legacy, how to create true wealth. The hours have been shortened from past BSE’s to give all the participants, the returning Alumni and all Instructors/Guest Speakers an opportunity to spend evenings working with each other and supporting each’s projects / businesses. Imagine having a billionaire take a look at your business model and make suggestions to help you expand? In this way, this program is the ultimate master-mind opportunity. How will this event benefit me financially? Obviously, if you apply all that you will learn – in your business and personal life – you will make many times your investment in the program as many have before you. Consider some of the testimonials from past graduates – the names read like a who’s who of the business world from the US, to Australia to China and beyond - and ask yourself how wealthy do you wish to be? DC – I’m not sure we need all of this on Robert. I would read this and say ’17 years, I don’t have 17 years!’ … Plus I think it makes sense as you were there, not sure it’s making the point you want it to make here. Deleting a couple of points makes this more succinct and effective. No worries. I’ll go with your recommendations. For example, Robert Kiyosaki from the Rich Dad / Poor Dad fame used to lead this event; when he chose to go into the niche of investments, taking just one strategy from the Business School for Entrepreneurs, he went on to find a “master” that would most rapidly show him the ropes... that was Sharon Lechter. She was so impressed with the network – and the essence of the book, based on the Excellerated Program teachings – she proceeded to make him a household name. Robert and his wife Kim learned many of the principles that they utilized to built their wealth at our Business School for Entrepreneurs. This could be true for you too! In addition for some, this program gives you the chance to learn tools that will repair or build better relationships and, of course, this may not be immediately measurable in dollars short term, however, long term the effects can be in the millions. So ask yourself... how much are you willing to invest for better business and personal relationships, fulfillment, peace of mind, making a difference in the world – creating a legacy – all while discovering new ways to grow your business? This organization’s definition of wealth is to: have ACCESS to cash, resources, networks, investments, experts, support – a global network. The Global Excellerated Business School for Entrepreneurs provides all of those opportunities, as such, the only thing that can stop you from the access to drastically increased financial results and connections available to you is by you NOT attending the event. Plus, this particular event includes an exclusive trade show where you get to showcase your own enterprise, product or services to your classmates and returning Alumni. You will not only be able to continue or complete any conversations that were started through the week – you will be able to display your work, get feedback and do business. The environment encourages authentic feedback so that you can feel comfortable with continuous improvement of your product(s)/services. You will discover and get comfortable knowing that constant feedback, tweaking, and improving your offerings keeps you ahead of the game – this is one of the biggest benefits that our graduates experience. What kind of people do this program? As well as successful people who simply want to get to know themselves better and how to function more effectively in a team environment. I am a Professional (Dentist, Attorney, etc. )… How can this program help me? Dentists, doctors, lawyers, and other professionals have attended and loved the Business School because the program teaches the generalized principles that apply in all business and life situations. Anyone can apply them – regardless of profession or industry. As a dentist, attorney, chiropractor or doctor you may be self-employed. At BSE, you will learn how to systematize and leverage your business so that it isn’t so reliant on you being there all the time. Once you get your business working without you, you can spend more time doing the things you enjoy the most – be financially independent and have a great lifestyle. If you are not having that experience, this event is definitely for you! Did you see what Dr. Jeff Alexander accomplished after he attended BSE? Extraordinary results! You don’t have to want to create a global business to attend. You just have to want to grow and improve yourself and your business as a whole. For some people moving from local, to regional, to state, to country, to the globe (and these days it’s not always a linear process like this) IS a driving force. For others, we know that’s not the case as much, and that’s fine too. Just one thought to consider … If reading through the information shared in the Global Excellerated Business School for Entrepreneurs website or someone recommended that you look into this event – and in some way it piqued your interest, it may be that there’s a part of you that IS yearning to see what the opportunities may be available for you to expand your business... to get your work out there more – even beyond your current thinking. Or, you have a yearning to do more – to make the world better – to leave a legacy – your heart is yearning for something more, then follow the clues! Regardless, we are pretty certain that GBSE is for you! Are there people who should not attend the Program? People who don't like change – or choose not to confront what is not working in their lives or businesses as well as they would like it to – will not enjoy Business School because this is what the program is all about... confronting what is not working in your business or personal life and solving those challenges while exploring incredible opportunities that are available to us as entrepreneurs. People who prefer keeping things within the status quo wouldn’t like it either. People who would rather just observe and not participate in interactive team exercises. The Business School experience requires active participation – the more you participate, the more value you will get from event. If you find yourself judgmental of others who seem idealistic, who want to make a difference on the planet, you’d not enjoy the GBSE environment. People who want to be the only one to prosper in business dealings and constantly compete with others – ie who want to become successful at any cost – would not like this environment where collaboration is constantly encouraged! If you’re someone that doesn’t want to research, discover and explore new technologies, renewables and how to create a world that works for 100% of humanity, would most likely not benefit greatly from the event. If you’re someone who doesn’t wish to participate in the connected growing global economy that is today’s reality, you would not benefit from the amazing opportunities that will be available for all the participants. If a person isn’t someone who strives to be fulfilled – to have a business that is constantly improving, they definitely would not benefit from BSE. Everyone is busy... and the more successful you are, the busier you will get. The mega successful know when to jump into opportunities that will accelerate their progress and success. What difference would it make to you if, in only eight days, you could shift the time you spend working “in” your business to spending more time working “on” it? By taking a week from your regular routine, you will find that you are able to see things more clearly than you ever have before. 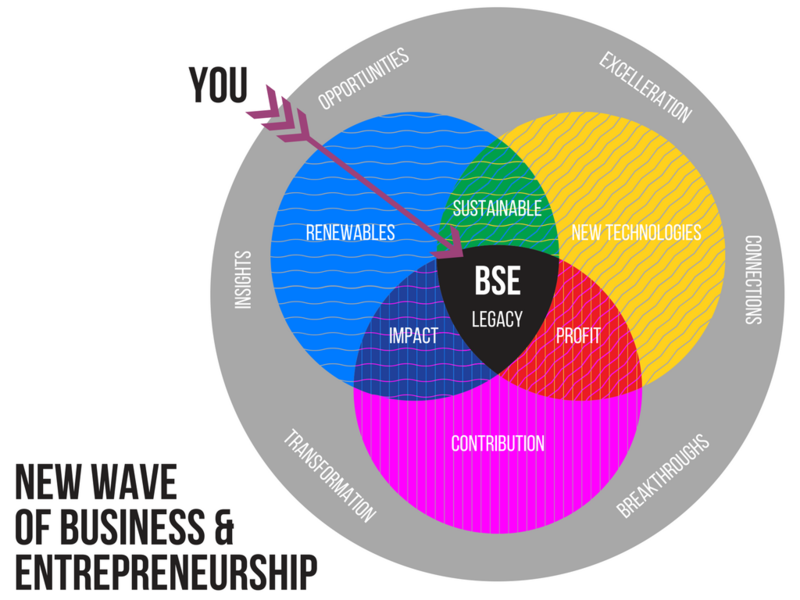 BSE is an ideal opportunity for you to evaluate your business, career – your life. You will be able to look (and learn, practice) how to leverage the resources, money, capital, networks, associates – whatever assets you have – so your business /organization isn’t reliant on you. Isn't your business and personal happiness worth eight days of your time to learn from like-minded entrepreneurs, instructors and individuals who are committed to achievement and growth? Would you make the time available? Successful people make the time when they see an opportunity that will accelerate their rate of success. How about you? You just stated the very reason why you should attend... Notice that you have just told yourself that you do not have the systems in place necessary for you to have a business that works without you. At BSE you are going to learn about different business models that have worked beautifully for many... DC Cordova will be sharing about her licensing model that has allowed her to receive royalties for decades and her work keeps growing organically – through systems that are duplicate-able and self-correcting. By taking this very important week out, you will have a full and clear view of the business processes in action and come away with that most valuable benefit... insight as to how to better leverage your time, yourself, your resources, your money and your products /services. If someone you know recommended this program to you, then ask them why it may be of such importance for you to put your business aside to attend. We have found that most graduates agree that attending this program was one of the best decisions they’ve ever made. Think of what problem you may have that we could help you solve that could make you say that this is one of the best decisions you will ever make... then go for that reason! I have attended a lot of seminars before, so what makes this program different? The biggest difference you will find in BSE is that this work comes from a real business where they combined personal development tools with proven business practices. This was an experiment that worked – and eventually the lessons learned were put into a stimulating environment that is fun and exciting to learn in. In addition to your own personal growth pressing beyond your limits and mind set, you will be learning awesome business distinctions from all those around you. Your classmates will become your teachers – as you will be to them. And with all of that said, you will be more than educated and entertained... you will be totally engaged and absorbed in the process of learning and discovery. Each lesson, principle and experience shared by the awesome instructors and guest speakers builds on the one before and unfolds like a beautiful flower or piece of art. It has taken us decades for the “teaching formula” to evolve to the level that it’s now and you will benefit great from the commitment of so many magnificent human beings that have brought this work to what it’s today. The fact is that its original creator, is a genius – in every sense of the word. He masterminded the original exercises, and has a pattern of thinking on how to create games, create a powerful curriculum that was inherited by others including DC Cordova. She and partners like Robert Kiyosaki, Dr. Willson Lin and other BSE leading instructors like Dominique Lyone, an extraordinary entrepreneur that owns one of Australia’s leading office supply business – took the work to whole other levels from where the original co-creators left off. Through the decades they have developed the work by bringing in more distinctions, awesome masters and systems into the program so that they continually create unsurpassed results. DC Cordova, who inherited the work in 1985, learned extensively from the co-creator of the work, Bobbi DePorter and other masters, how to build organizations and work with teams globally. Very few people have ever disliked the Excellerated Business School. Even professionals in the training/education field have applauded the brilliance, simplicity, power and effectiveness of its design. Even if you have done many other seminars, there is always another level of performance to surpass. If anything, it will validate where you are today and show you which of your choices and decisions have worked and which have gotten you to where you currently are. From there, you can make new choices, as awareness is everything. We will also be supporting the promotion of your work through the ever-present “Networking Table” which is available to you from Day One and after you graduate in any BSE any where in the world, in any language. You have a lifetime membership! This feature alone has lead our graduates to meeting extraordinary masters / professionals / global entrepreneurs that have vast fortunes and networks. They have formed strategic alliances, collaborated, shared information – much of which has made a great difference in the quality of their lives, organizations and communities. The access to wealth is phenomenal! Is this school based on a particular philosophy? The work has been influenced and evolved through the decades based on the work of four masters – geniuses that have created new paradigms in their fields of endeavor – Dr. R. Buckminster Fuller, Dr. Georgi Lozanov, Dr. W. Edwards Deming and Ilya Prigogine. If you Google their names you will be impressed. The work was originally designed through the genius of Marshall Thurber. The first BSE inspired and enrolled a committed group of people, including DC Cordova who continues with the work globally. The Excellerated programs are fueled by the teachings of R. Buckminster Fuller who is known by many as the “the planet’s friendly genius”. 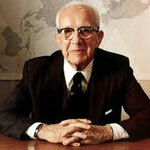 He is perhaps one of the best-known American thinkers of the 20th century. He was an architect, mathematician, engineer, author, designer, cosmetologist, scientist, inventor, visionary, and philosopher. Many of the principles that we teach in our programs came from his mentorship – including to encourage those interested in investments to apply generalized principles to the pursuit of wealth – that it’s optimal to invest in products or services that add value to humanity. How personal does it get? Since the eight-day event is highly interactive – it can be as personal or impersonal as you wish to be. You will be asked to participate in games with other participants, and have interactions with them, but you will always have a choice with your team as to the extent of your participation or how much you share of yourself with the rest of the group. You will never be put on the “spot” or required to do anything you don’t wish to do; however, you always get a result from the choices you make. We do ask though that you participate as fully as possible – we have proven over and over that this is a very safe environment to grow in. When you get involved fully, you will discover much faster those limitations or decisions that you have made in the past that have held you back – it allows you to move faster and with more certainty towards your dreams and goals! Is this program related to any religious organization? Business School is a completely non-denominational and non-religious program. The instructors, partners and our various associates and promoters who license the programs from our organization, as well as each of the participants, all come from very different religious/spiritual backgrounds. There is respect and regard for different beliefs and disciplines, and none are imposed in the program. During BSE it is acknowledged that there is a higher power at work. Business School does raise the level of social consciousness of many of our participants – particularly for people whose main focus in life before was primarily money – some extremely greedy. In the same way, it has also given some very spiritual or religious individuals who harbored negative judgments about business, money, prosperity and wealth, a new understanding of these subjects. They see how it can make it easier to make a significant contribution to their communities and how to raise their family’s standard of living through expanded business opportunities. Does this program have a track record in my part of the world? Because of our experience of producing Business Schools for 40 years, over 85 in the Chinese market alone since 2001 – plus, more than 118,000 graduates of our signature program, Money & You® since 1979 from over 85 countries, our programs have been proven effective in every culture, environment and diversity in background. Formerly only taught in English and Chinese, it is now expanding into Japanese, Bahasa, Tamil, Hindi and Spanish languages. We have found that human nature is the same, no matter what a person’s race, culture or background. We are confident that it will work in your part of the world too! What type of Instructors will I learn from? BSE’s is taught by successful entrepreneurs (including those committed to the betterment of humanity), experts and individuals who have mastered their area of expertise. Dame DC Cordova, has co-lead many English BSE’s – and over 75 Chinese Business Schools. Her leading team includes instructors from her signature Money & You program who will facilitate daily coaching of the participants as they go through the various exercises and business simulations. The games, simulations, exercises and the sharing of the participants are the recipe for the success of the program – and creates the highly effective learning environment. The instructors and guest speakers are eager to share their expertise and the learning experiences they had accomplishing their goals – and many, working on making the world better for humanity. 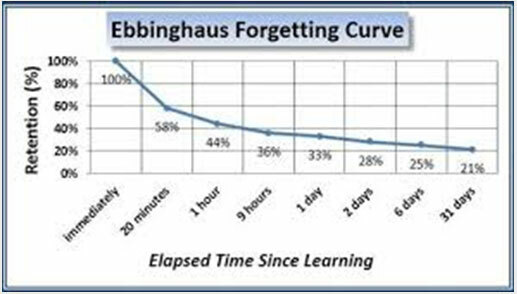 This is the beauty of the “Excellerated Learning” technology and our teaching format, which, since 1979, has been proven to be highly successful. All instruction is focused on application rather than just delivering information. This prevents the typical "seminar" pattern of getting "hyped up" with enthusiasm in the moment and then forgetting it soon after. Part of the technology is to provide tools for you to implement the teachings, strategies and ideas generated by the experiential learning environment. I’m an employee, how can this program help me? We find that employees who attend BSE are more valuable to their companies and therefore soon earn a higher salary because of their confidence and ability to "sell themselves" more effectively – and the greater contribution that they make to their companies. Some have been made partners faster than if they had not attended. You will also learn the fundamental skill required to be a successful entrepreneur, and if you so desire, you could start your own business – within or outside of your company. From the 1980’s companies have valued "Intrapreneurship" – who help them run the business with their own divisions that are run like individual businesses. Others actually "invest" in their employees who want to run a part time business outside of company hours. And, even more importantly, some people who think they might like to run their own business find, after doing BSE that entrepreneurship is not for them. What better thing to find out before investing their own time, money or energy in a business of their own! On the other hand, other employees finally get the courage to “fly the nest” and step out on their own to start their own business. If you are in that category, you will get a head start and be able to cut years of your learning and business growth curve. Because BSE is about adding value, you will become clearer on your purpose and the purpose of your business. This could give you the freedom and the confidence you have been seeking. My business is doing fine now. Why do I need to attend this program? Whether you like it or not, you have to grow personally, philosophically, strategically and financially in order to handle the fast-changing world of today – or you will regress and go backwards! As human beings, we are never, ever static. And that is one of the key mistakes many business owners and managers make – thinking that if they are “doing fine” now, they don't need to learn anything new. Continuing education is no longer a choice in most fields, it is a necessity and your number one competitive advantage is not how much you have – but how fast you can learn! For instance, if in any aspect of your business you lose even just 10% from where you were 12 months ago, how long would it take your business to make up for that loss? What about your competitors? If your business is becoming depleted of its critical mass of the capital to fund and finance its growth and promotion to survive and thrive, then what will you do? By working with us to get clear on whether to attend this program or not, we can help you make some distinctions that could be of great value to you. What could help me decide whether or not to attend? Decisiveness is one characteristic shared by most successful people. Rupert Murdoch, was said to have made a decision to commit over $1 billion dollars of News Corporation’s money to a project – all within 30 minutes! The English BSE is a rare opportunity because it is usually taught in one area of the world only, so that promotes global entrepreneurship since many travel the world to attend. Consider the lost opportunity if everything we have shared were true and you didn't take it! If you still have considerations, we can discuss it further with you. All you have to do make an appointment with one of our staff that can help you decide if this work is for you. It’s very important to us to have a committed group of people that is clear on their purpose for traveling the world to spend this week together. If the program cannot support the advancement of your growth – or your purpose is not in alignment with the school’s, then we won’t waste your time. Is this a “sales fest” where I will constantly be sold products and services? Absolutely not. The Instructors and the returning Alumni are business people who do have products and services but are not there to “pitch” anything, rather to add value. If, of course, you are attracted to doing business with any one of them, it’s up to you to approach them. Each class will have tremendous value on its own. The environment is designed so that everything that you are learning can be applied immediately without additional expenses. Of course, if you are a lifelong learner as many of the participants will be, you may choose to continue your education with one of the instructors but their curriculum is not designed to lead you to purchase products or services from them. How will I know if type of education really works? “Accelerated Learning” was developed by research psychologists and professional educators in the early 70’s and the major contributors included the seminal work of Dr. Georgi Lozanov as well as Nobel Prize winners, Roger Sperry and Robert Ornstein. Our Excellerated Learning Technology had its beginnings with Georgi Lozanov having actually been hired from the Bulgarian government in 1978 by the co-founders to teach them “Accelerated Learning” which was then applied to the programs. Through the years the work evolved as different elements were added and it took a life of its own. Happily, this technology has been proven over and over again to be one of the most powerful in the world. It is a combination of “Accelerated Learning” methodologies and games, exercises and simulations that we have created through the decades. What else sets us apart is the combined teachings of the four masters that were mentioned earlier; plus, Bucky Fuller’s principles which encourages making mistakes and then correcting as fast as you can, it’s dynamite. This is how we developed our entire educational system and curriculum. We are keen to share this technology with as many people as possible and encourage your participation. Our purpose is to “Uplift Humanity’s Consciousness Through Socially- Responsible Businesses” which includes the transformation of educational systems globally which is key to eradicate poverty and hunger. We are happy to say that we have had a positive impact in several countries, which are now using this type of learning technology more and more in their educational systems including Singapore which is one of the leading countries in having an effective system of education. This is due, thanks to the many graduates, their staff and teams who continue to support this work and take it into their own spheres of influence. I don’t know if the program will work for me? As long as you participate, it will work for you... For nearly four decades, the program has worked for people from all walks of life and from all over the world. Our graduates are people of all ages, cultures, backgrounds and income – and are people just like you. And, just like them, we are 100% confident that it will work for you too! Why don’t you provide an hour-by-hour agenda of the school curriculum – even to those who have enrolled for the program? The “Excellerated Technology” is designed so that your mind doesn’t have pre-conceived ideas on what to expect hour by hour. A schedule of the day will be provided but not with the classes nor the names of the instructors. The program is centered around two major exercises: a Trade Show where you and a group of your peers would have created a new business that will have all the elements that you are learning through the week; and an exercise team which will entail swimming and running. 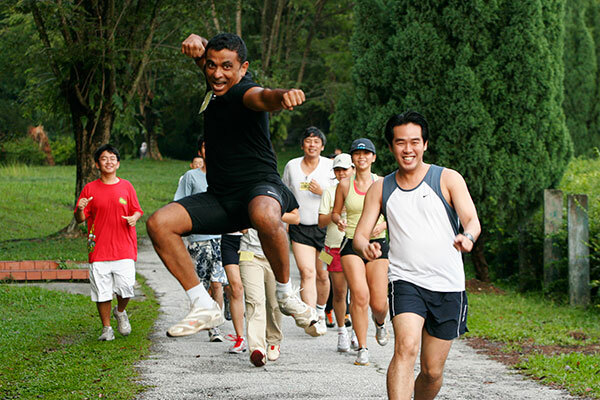 Not to worry, we have instructors that will teach you the components necessary to be a winner. Just recently we had a 72 year gentleman be part of the winning exercise team whose life changed from experiencing such win. Both experiences are designed to learn by trial-and-error: leadership, communication, innovation, breaking through limitations, how to build teams and more! Another reward is a cash prize for each team from contributions from each participant. You’ll have an opportunity to win a percentage of your tuition – or even more. “Excellerated Learning” has beautiful nuances that creates life-long learning! So how do I enroll?